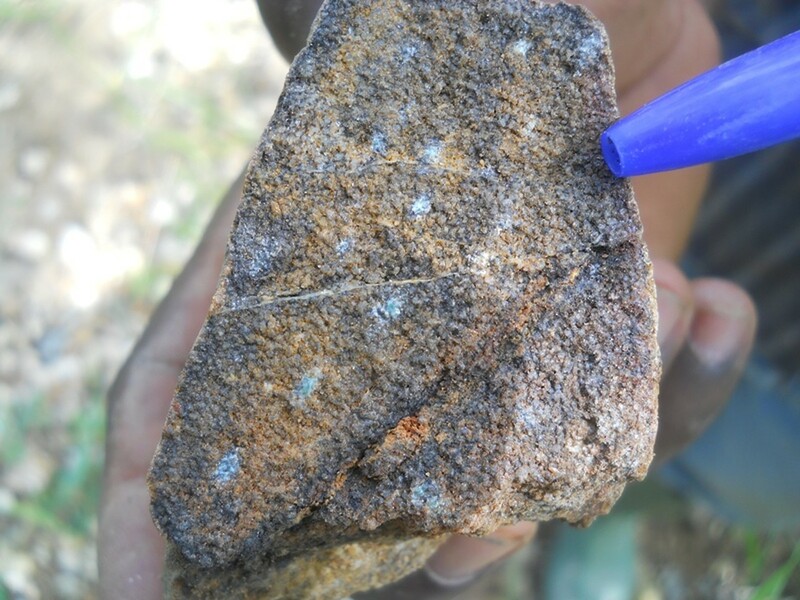 Laboum | Altus Strategies Plc. 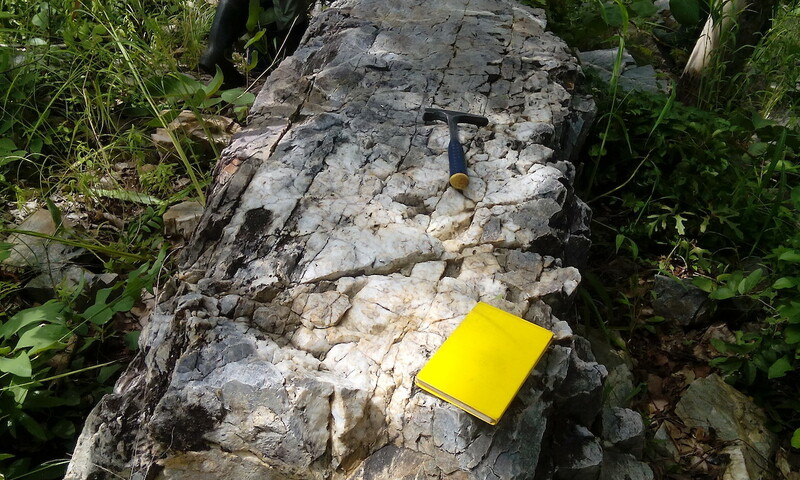 The 189 km2 Laboum licence area was selected due to the presence of a major regional shear zone, which in places is up to 5 km wide and coincident with numerous gold anomalies as defined by the Bureau de Recherches Geologiques et Mines in the 1990s. 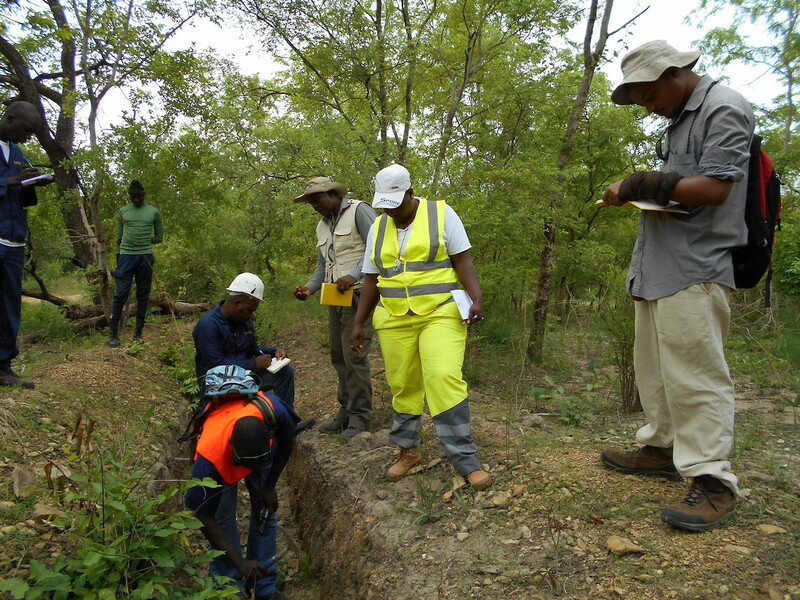 Historical mapping by the Company has a defined a 20 km long zone of gold bearing streams and the presence of artisanal alluvial gold workings. 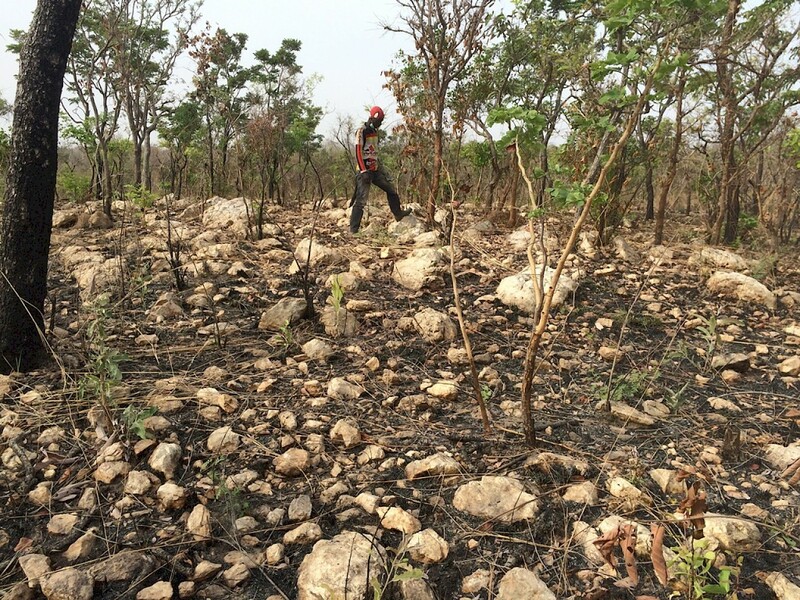 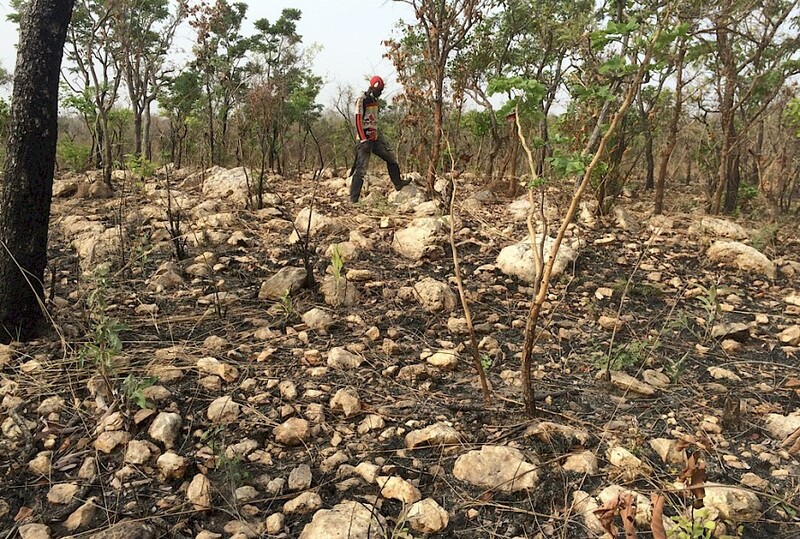 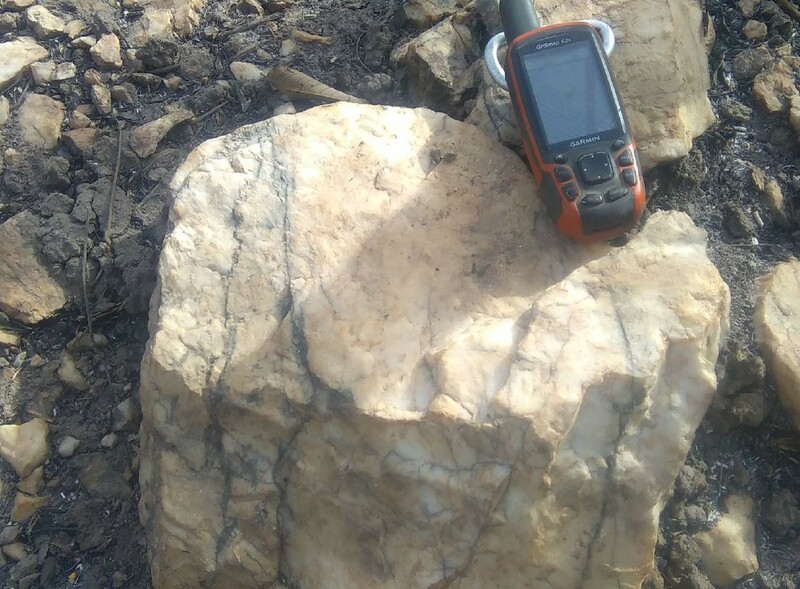 The company is in the process of undertaking a detailed soil sampling programme and concurrent high resolution ground magnetic survey along the gold mineralised portion of the shear zone. 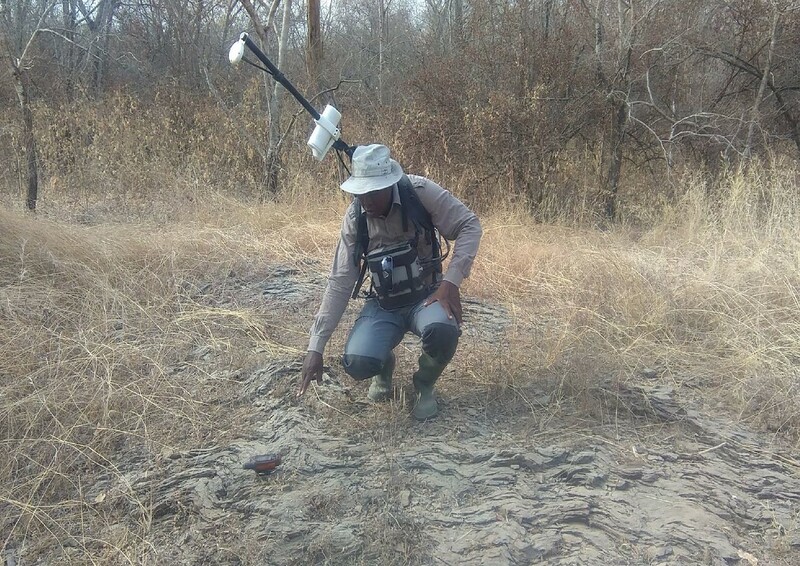 Following positive results from a 128 line km Phase 1 ground magnetics survey, an extended 1,028 line km Phase 2 ground magnetics survey has been completed. 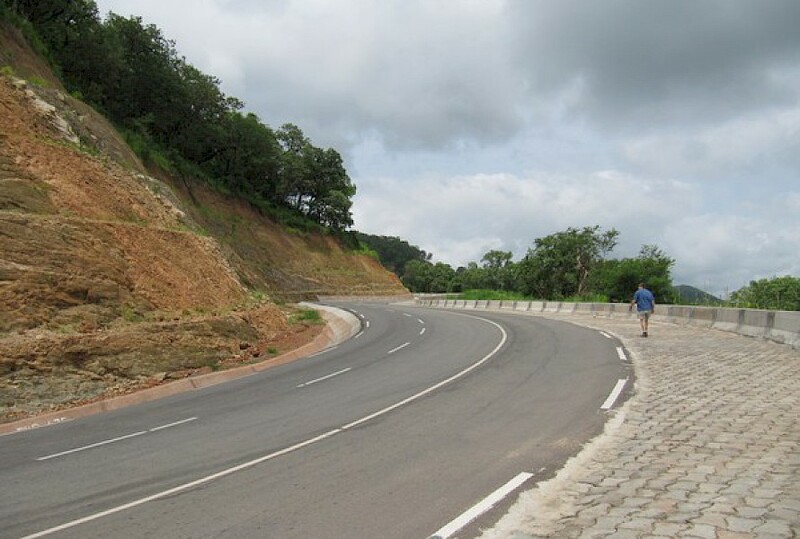 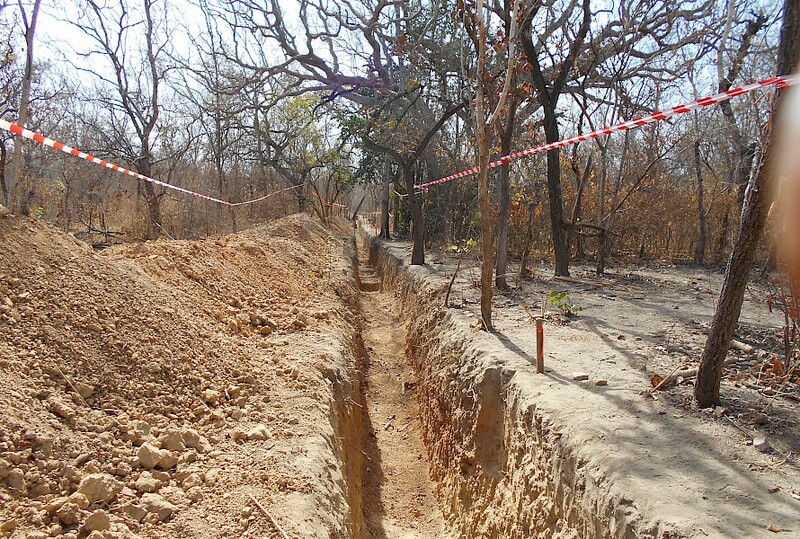 The Phase 2 survey lines, each typically 2-4 km long, were walked at 50 m intervals and orientated perpendicular to the regional NE-trending Tchollire-Banyo shear zone. 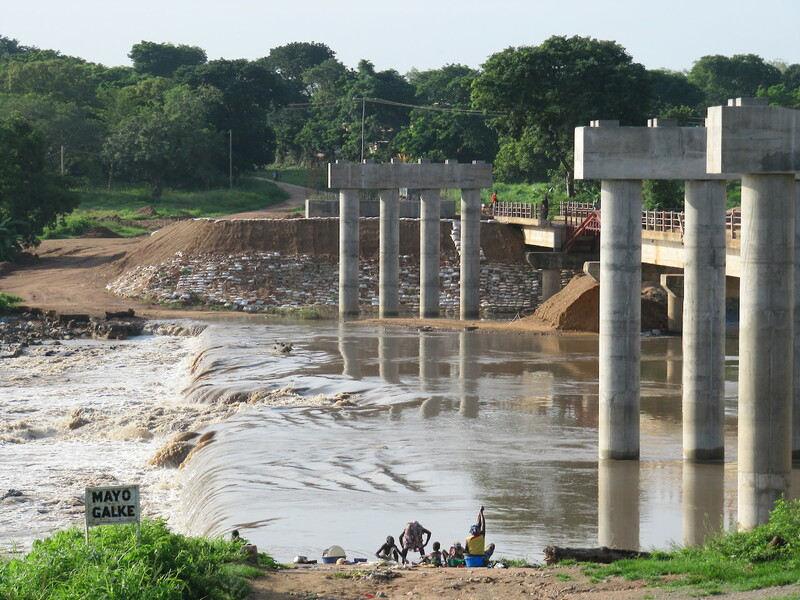 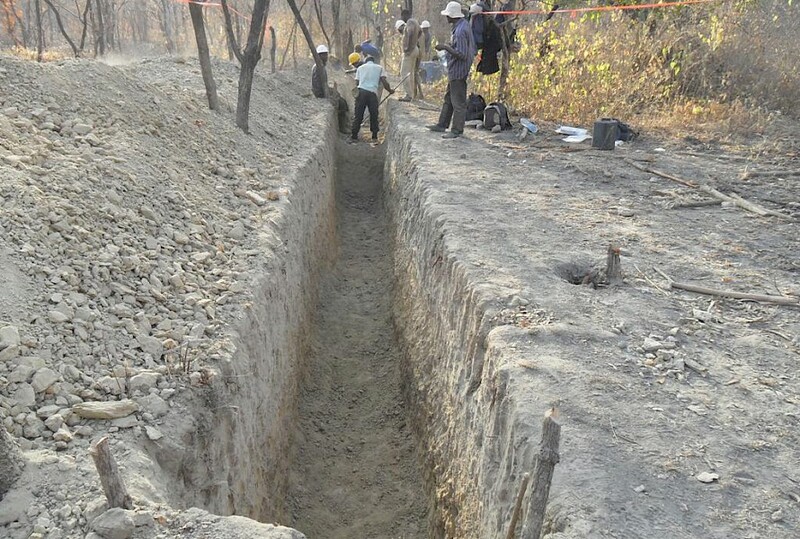 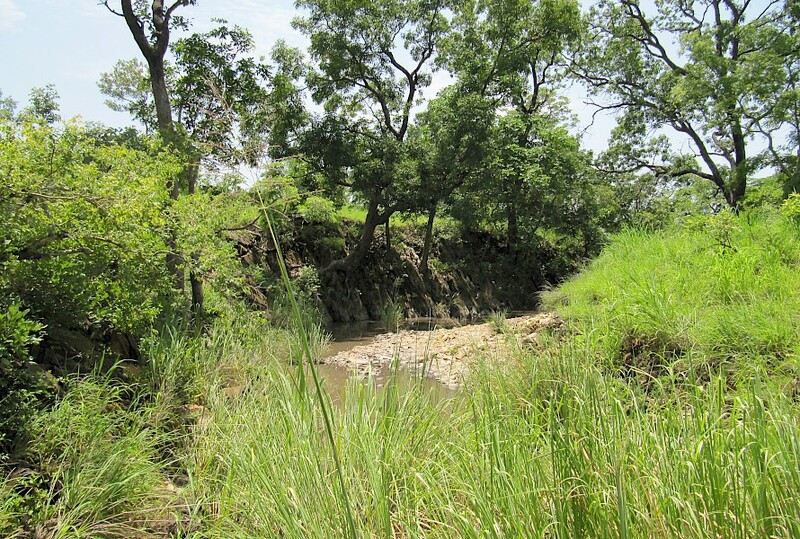 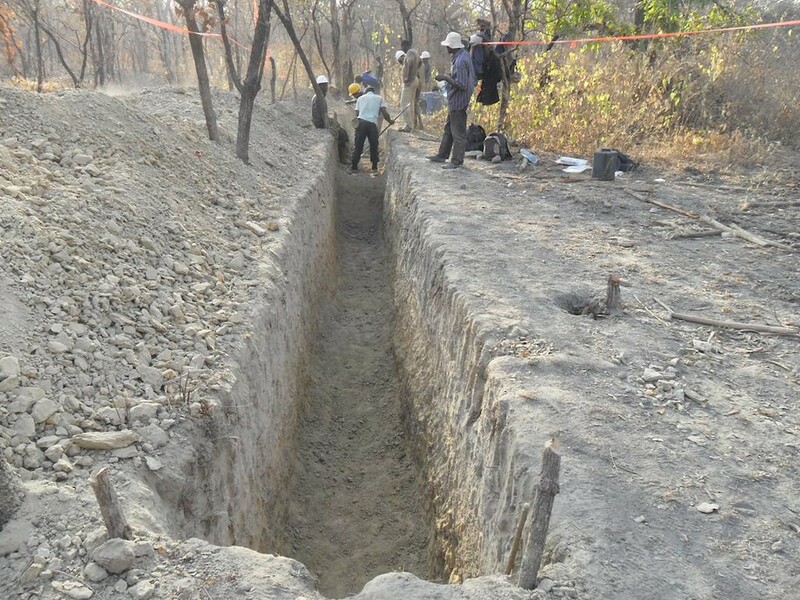 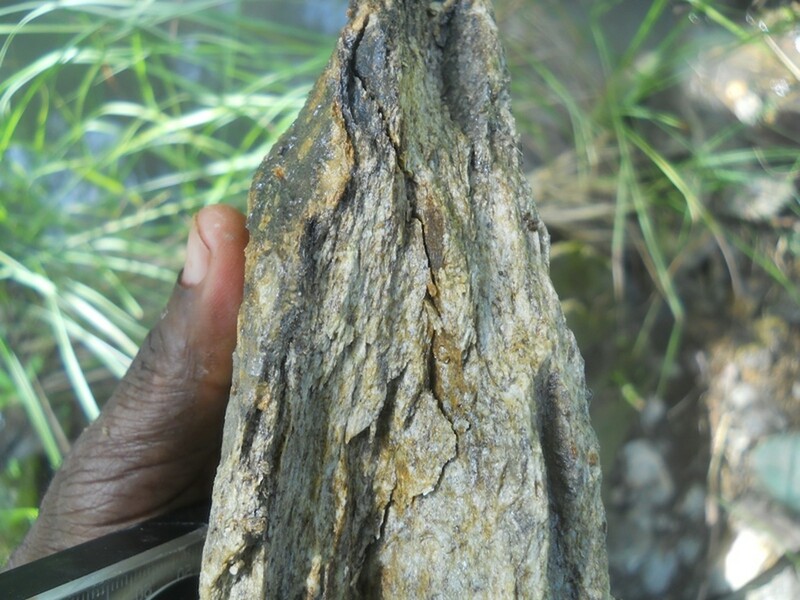 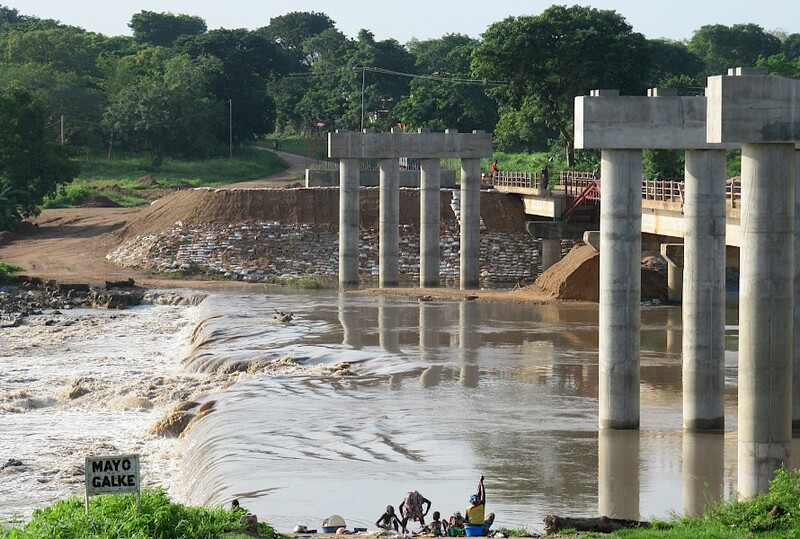 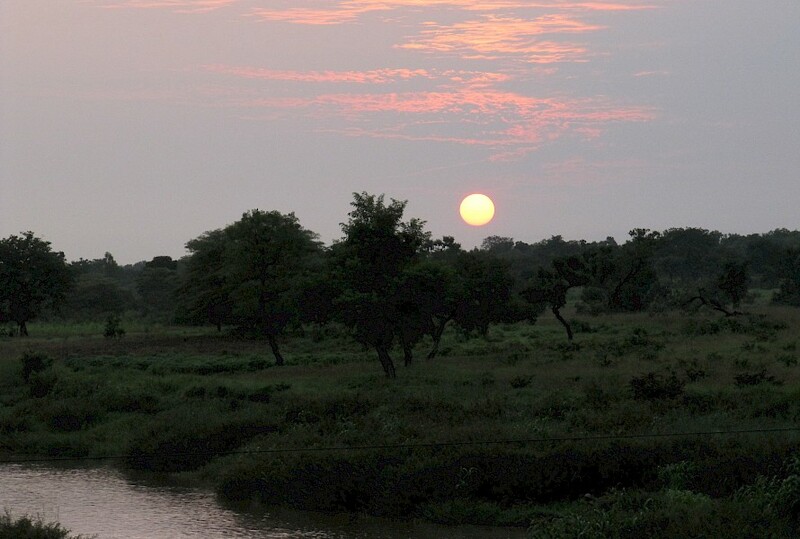 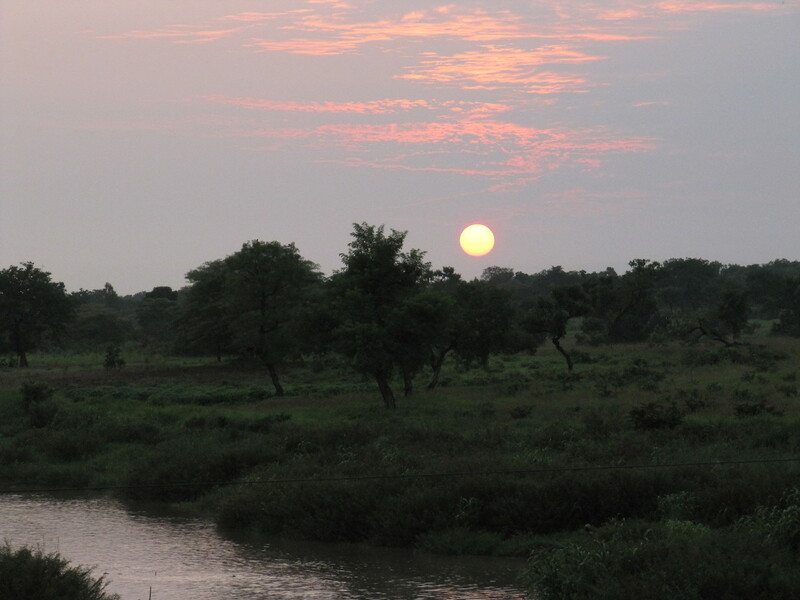 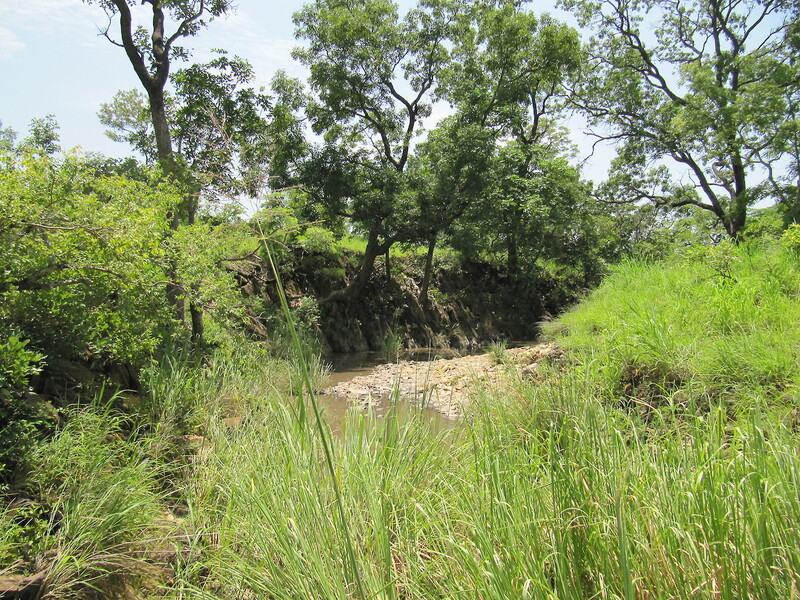 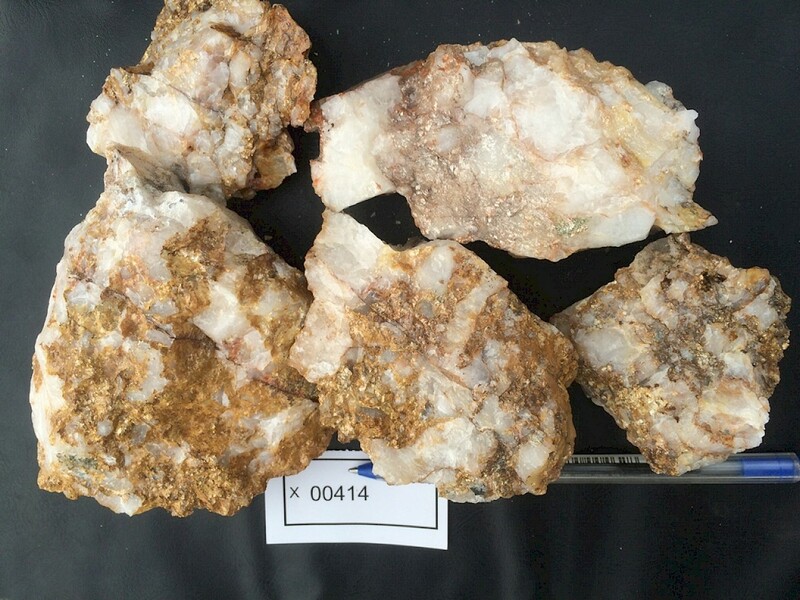 The programme covered approximately 17 km of strike which was previously confirmed as a gold-bearing area of interest by the Company’s stream sediment survey. 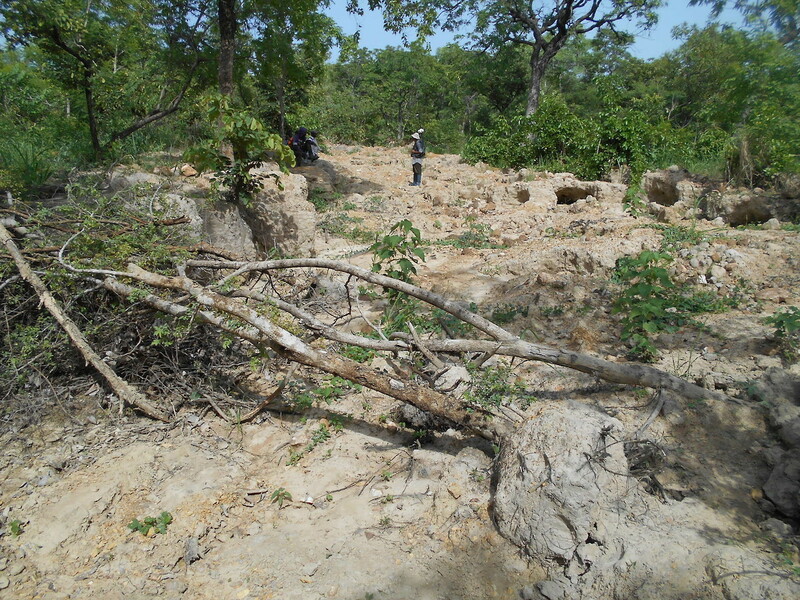 Processing of the high resolution data was completed by Terratec Geophysical Services GmbH & Co. (Germany) and the results have allowed for the interpretation of the broad regional structural and lithological features, as well as the identification of potentially important localised structures within the shear zone. 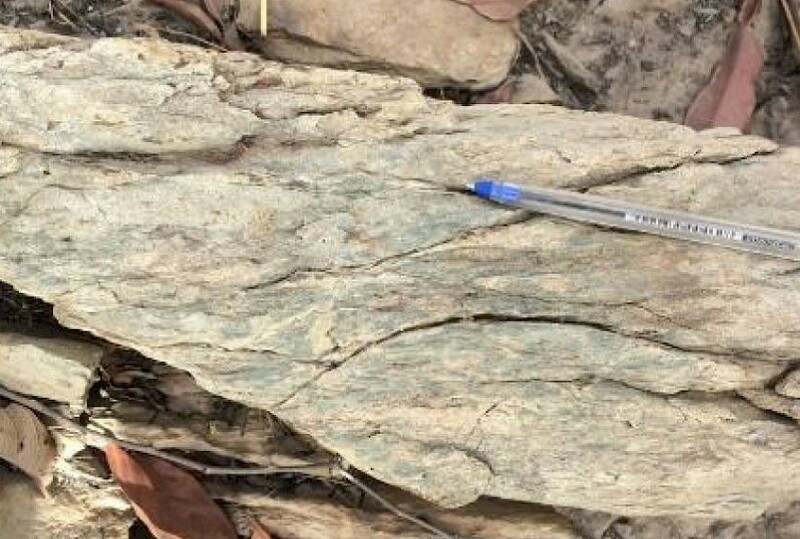 These include riedel shears, dilational jogs and fold hinges, all of which are considered to be favourable settings for hosting economic gold mineralisation. 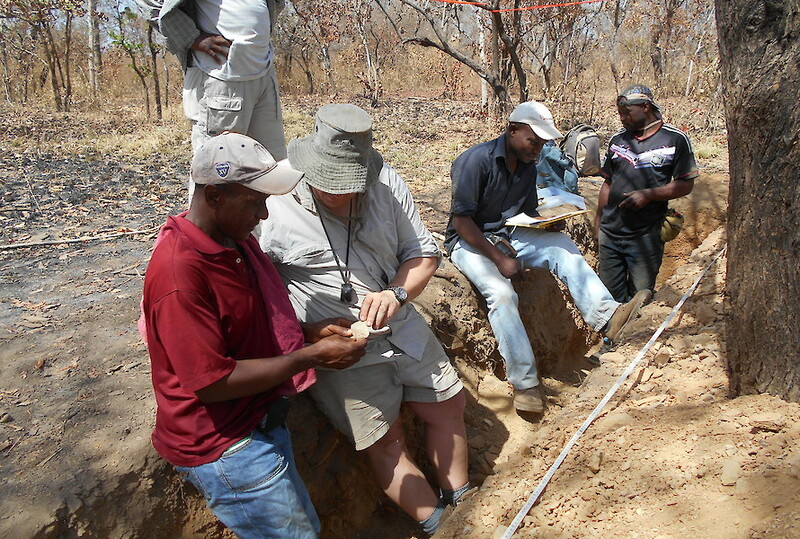 A number of the local structures identified by the geophysical programme coincide with existing gold prospects, as defined by the Company’s regional soil sampling survey, as well as the occurrence of recently mapped artisanal gold workings. 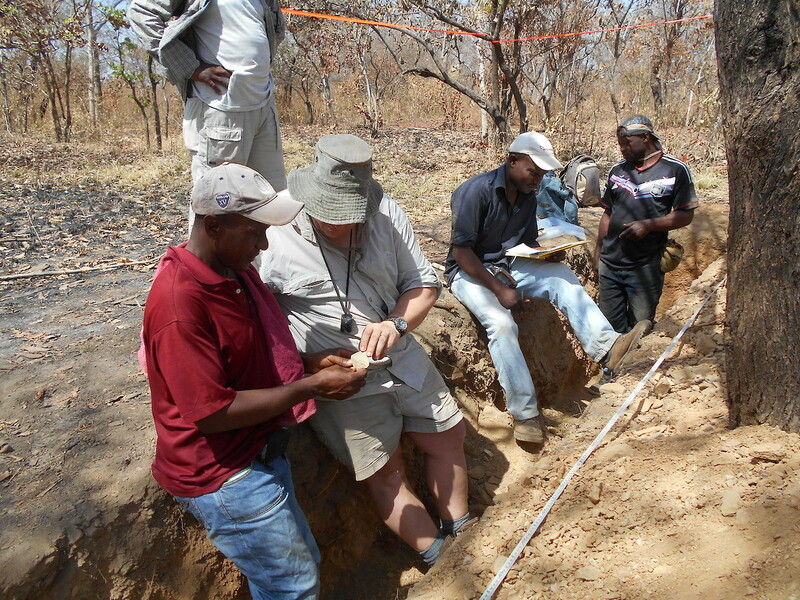 Generally, there is a strong correlation between magnetic signatures and gold in soil anomalies with a number of inferred structures at the Tapare and Kalardje prospects remaining open along strike. 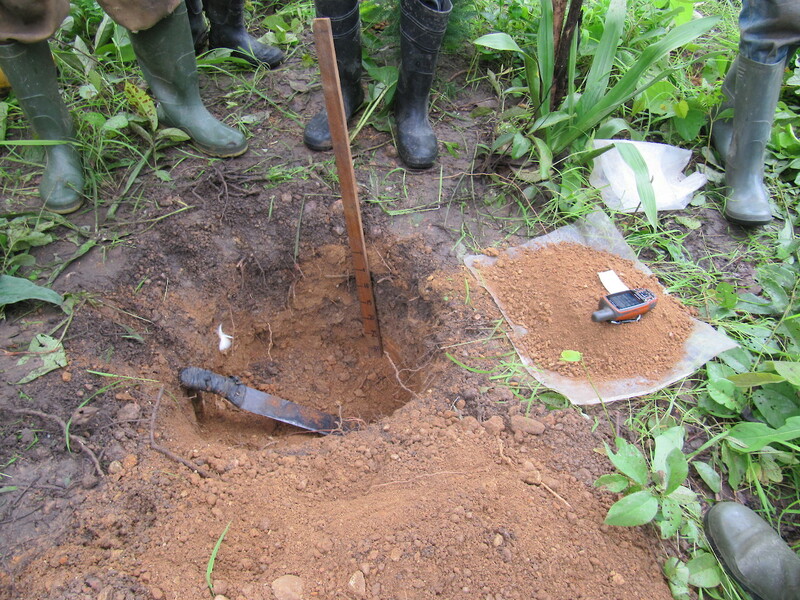 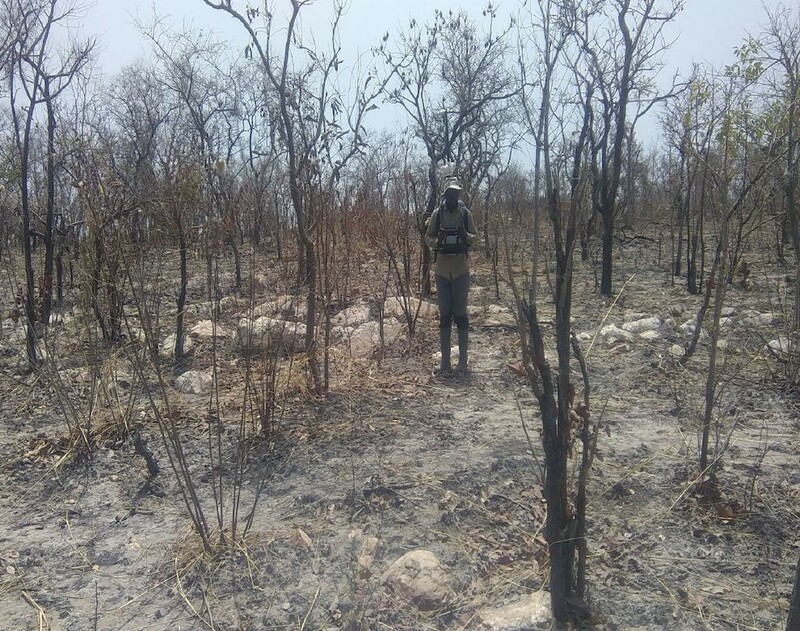 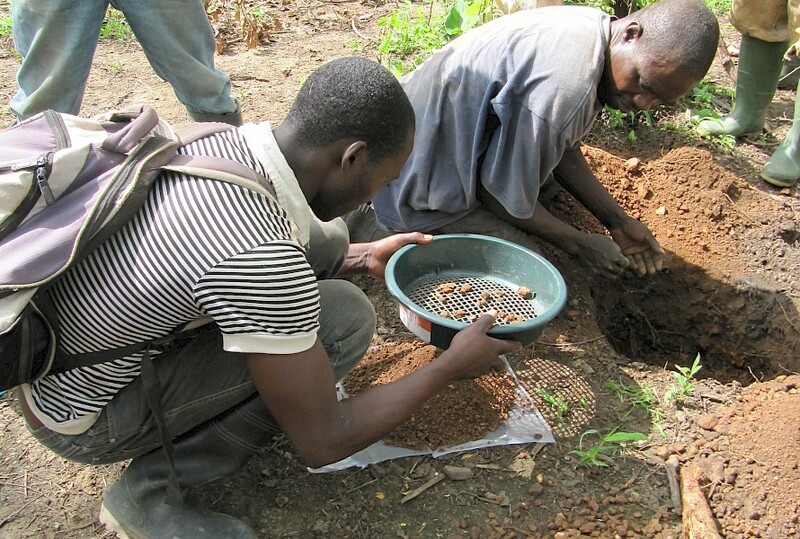 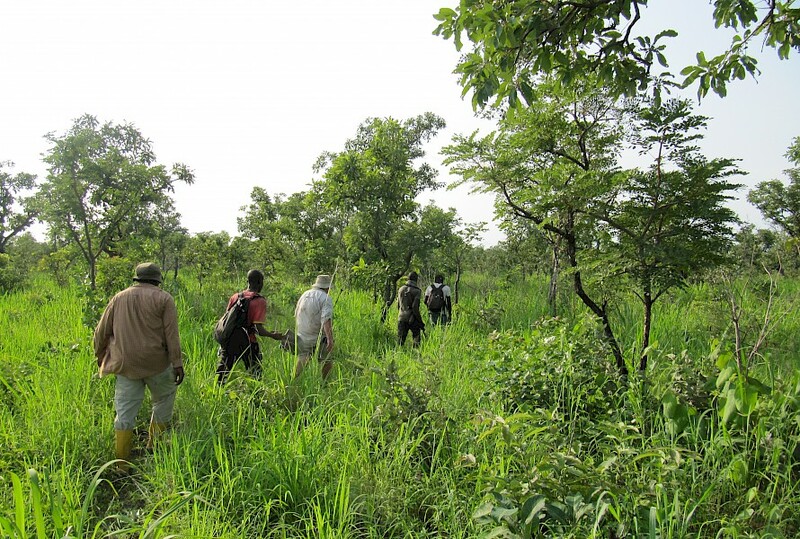 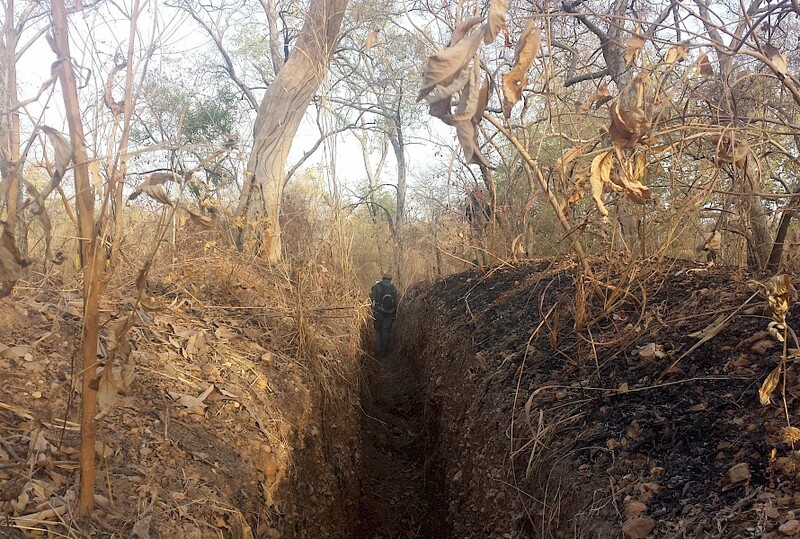 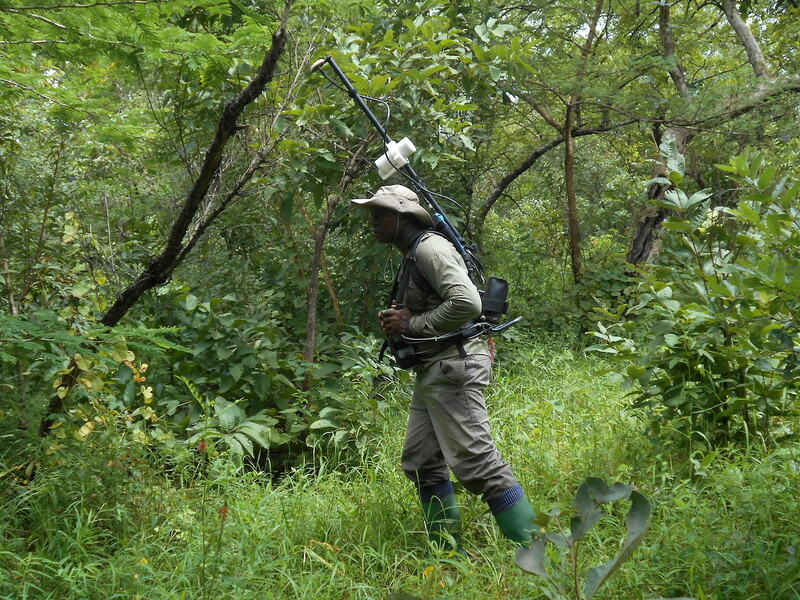 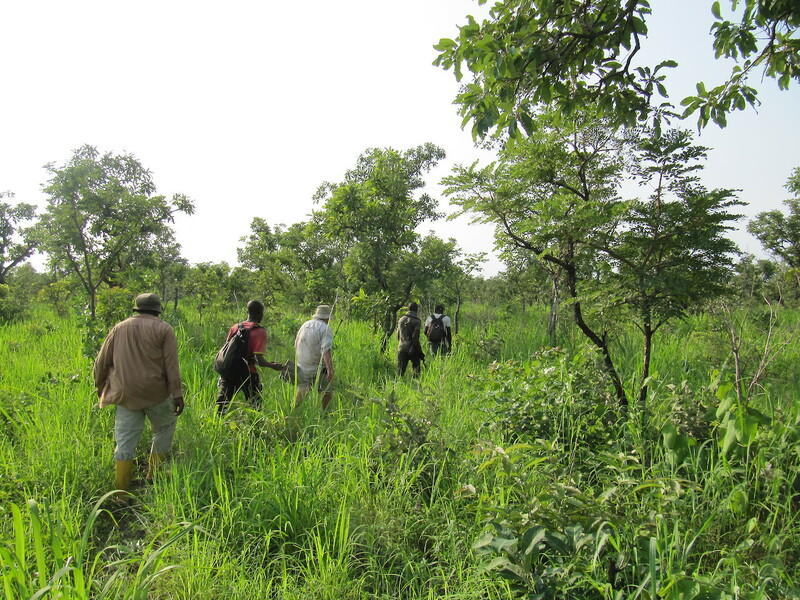 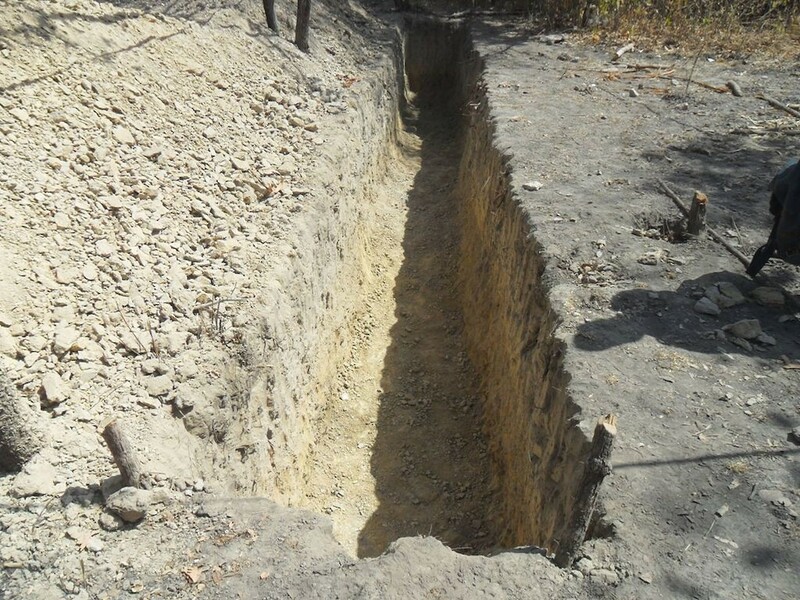 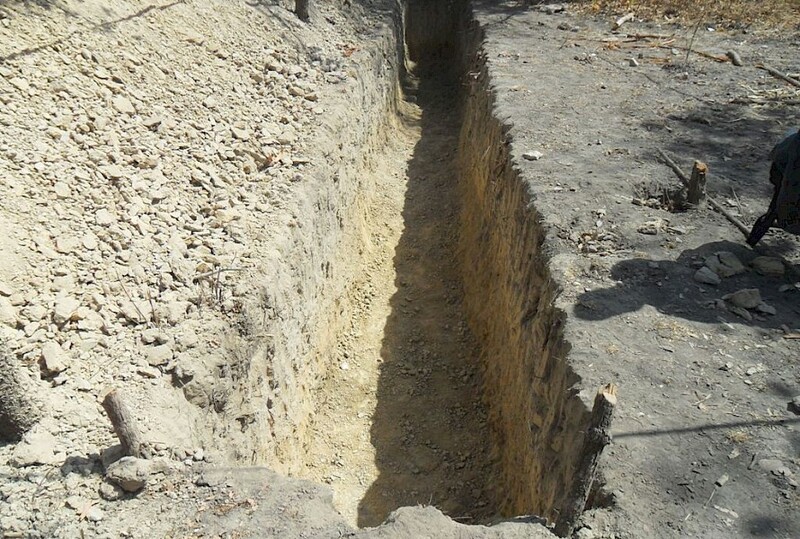 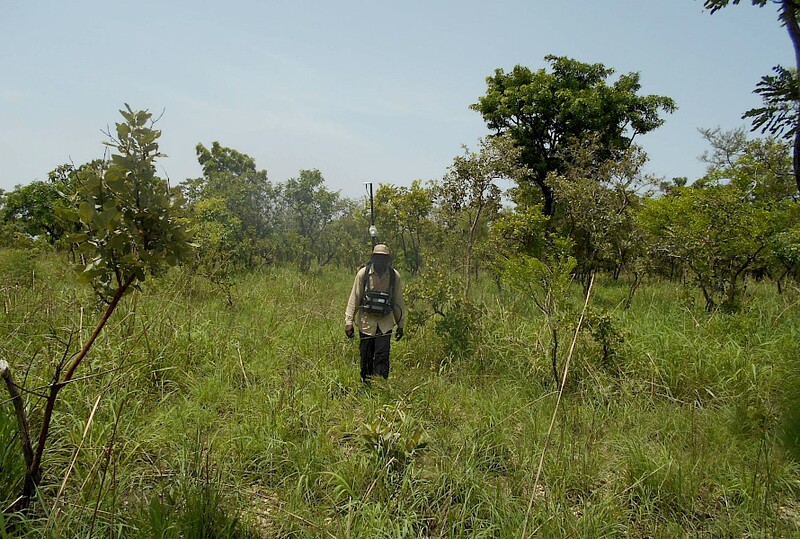 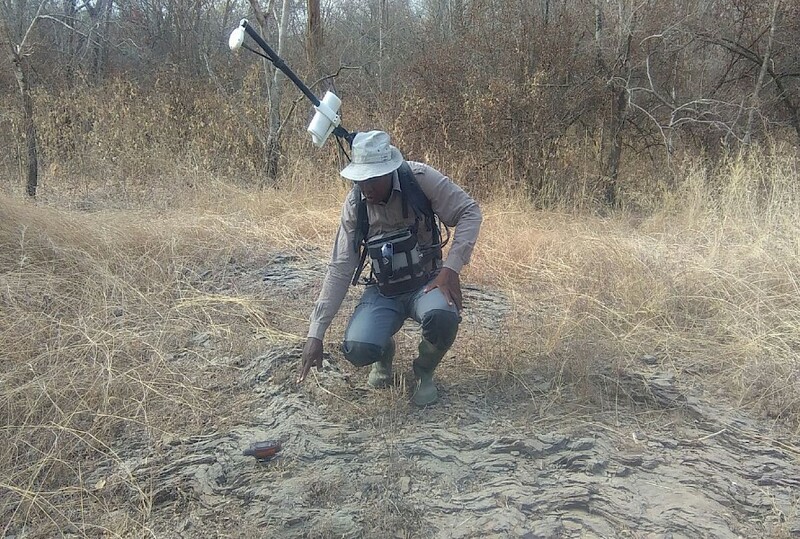 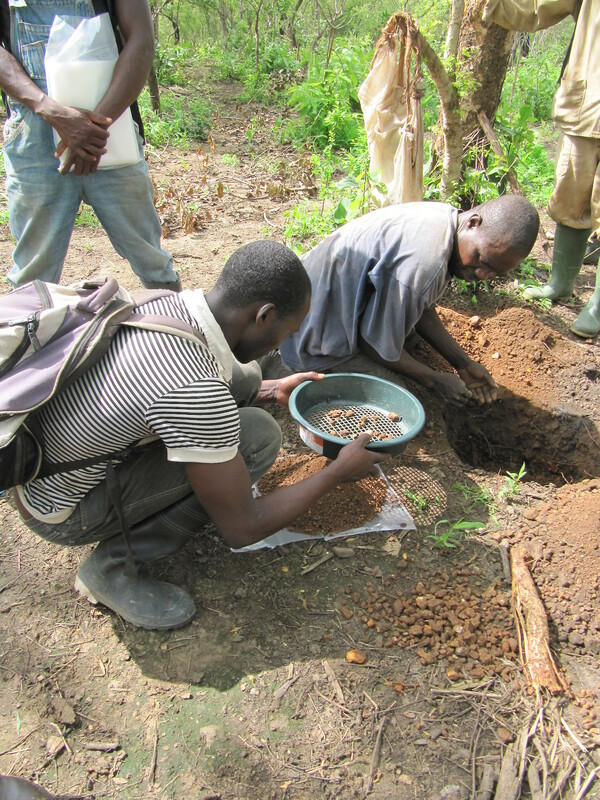 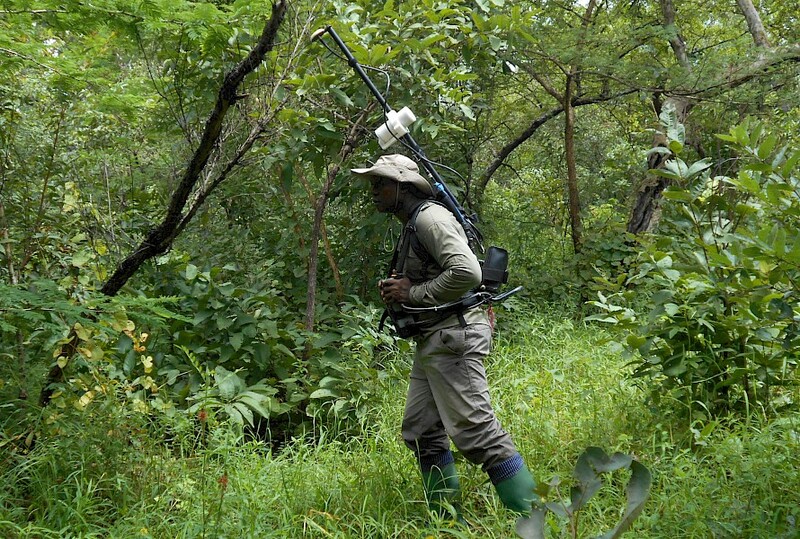 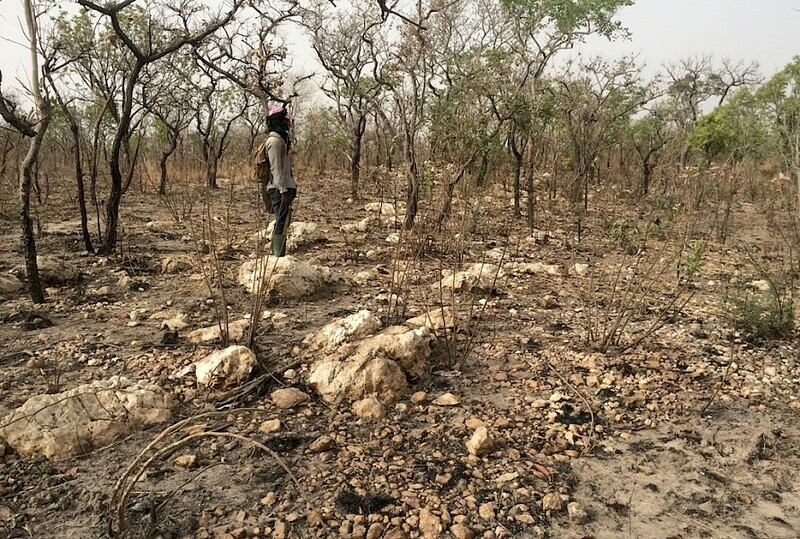 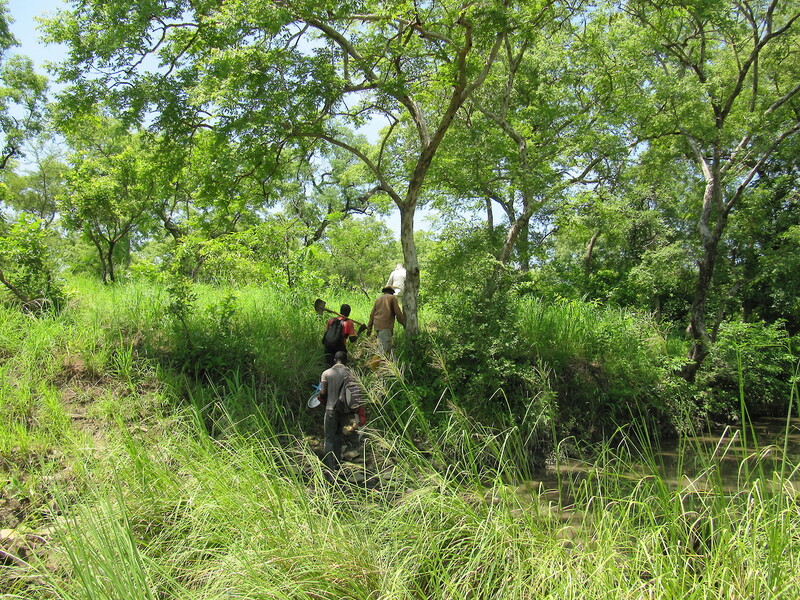 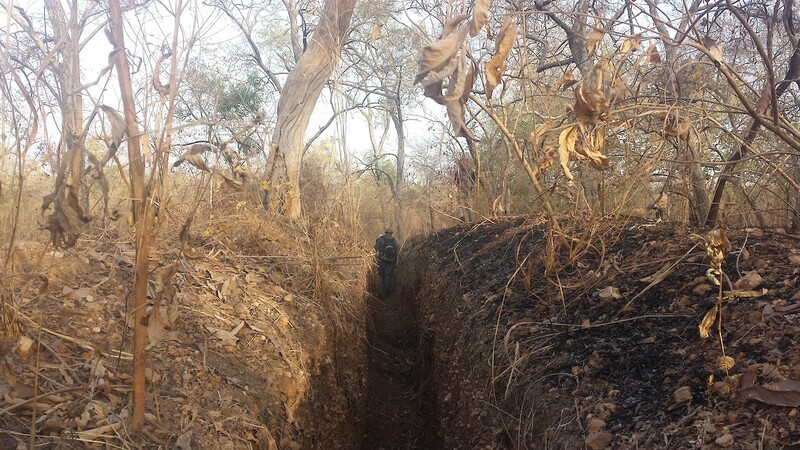 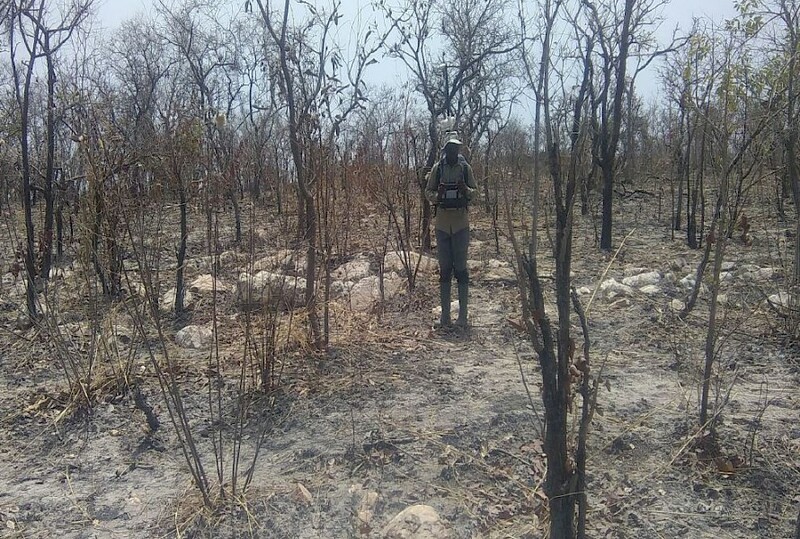 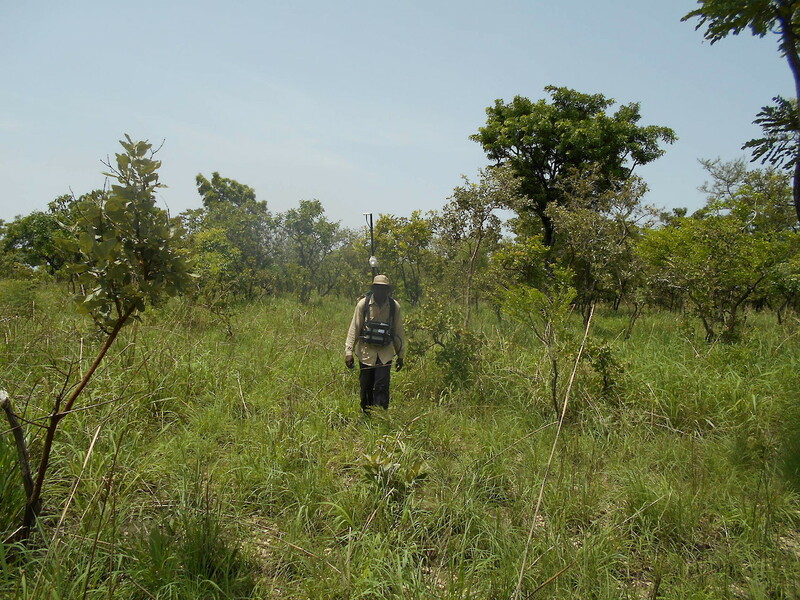 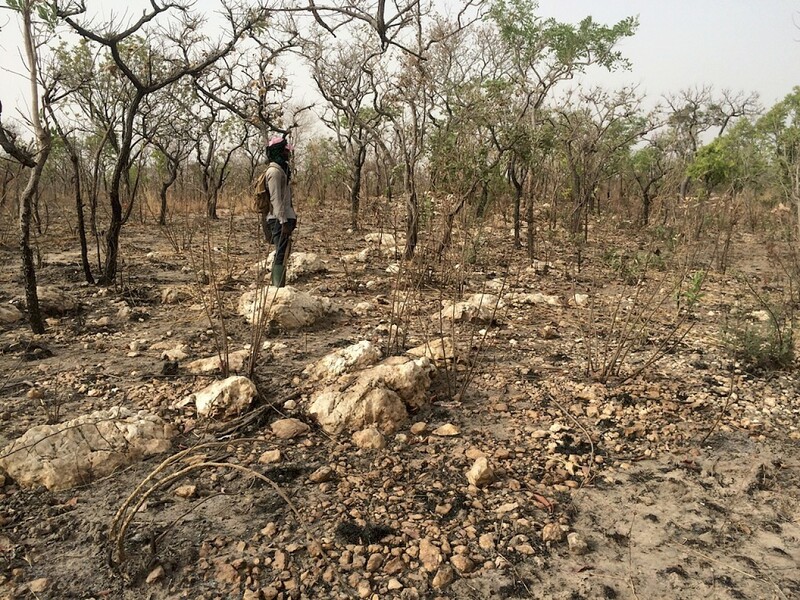 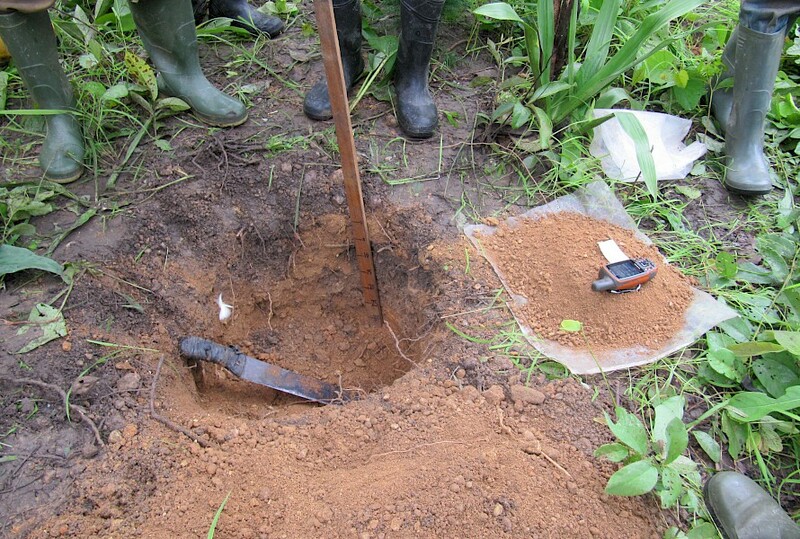 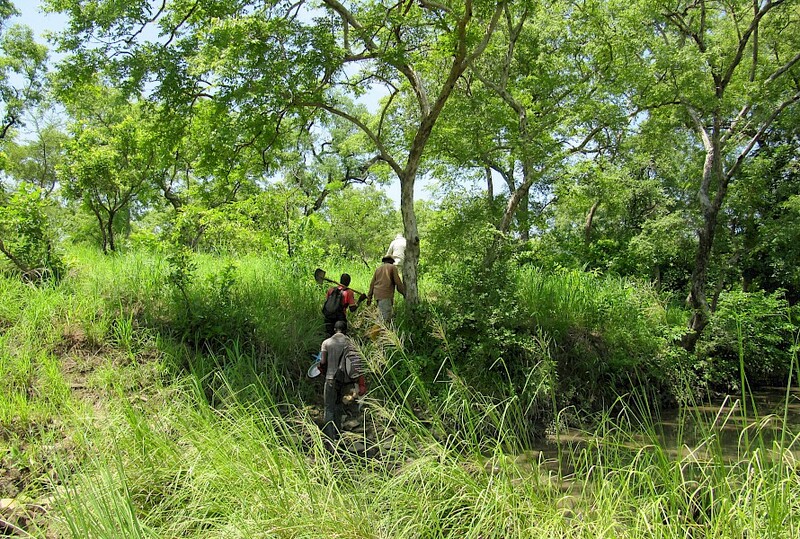 A concurrent 218 line km infill soil sampling programme is also being undertaken, with Auramin’s field teams collecting samples at 50 m spaced intervals along 100 m spaced lines. 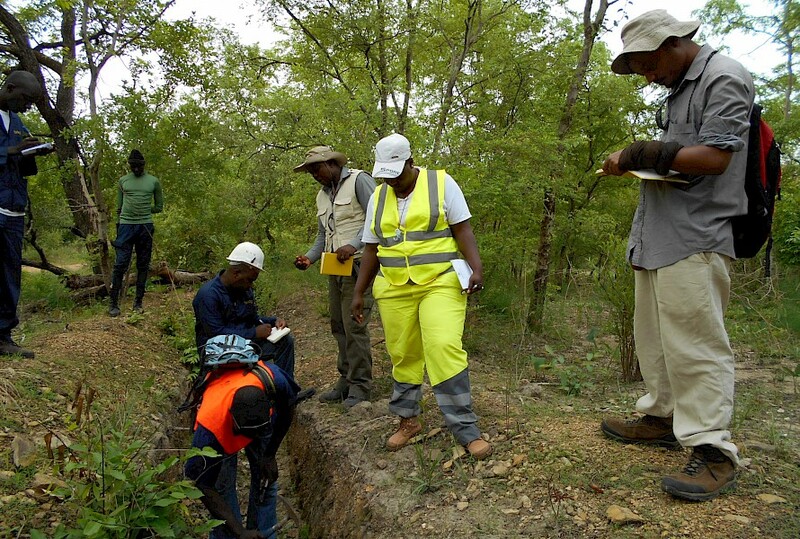 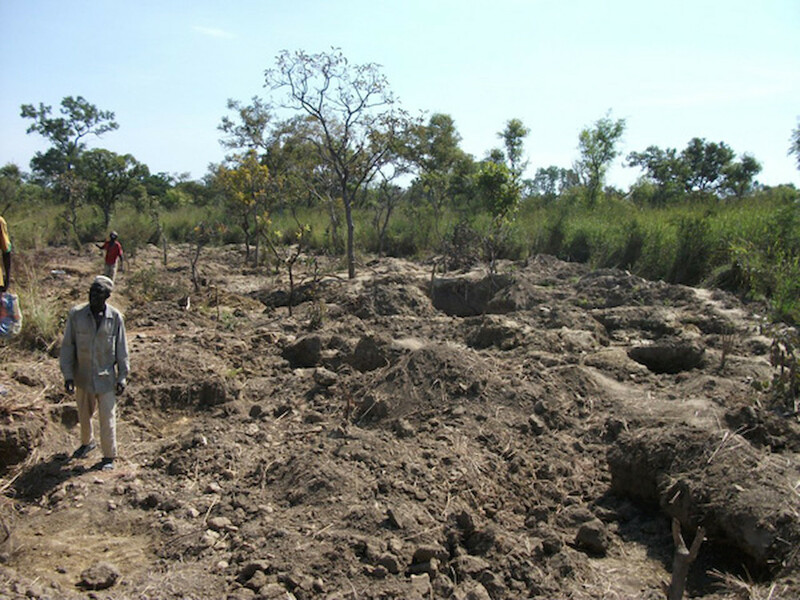 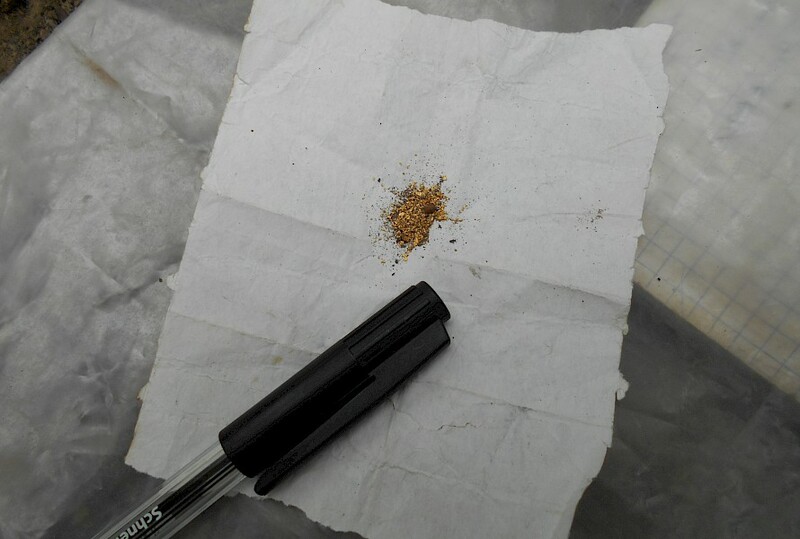 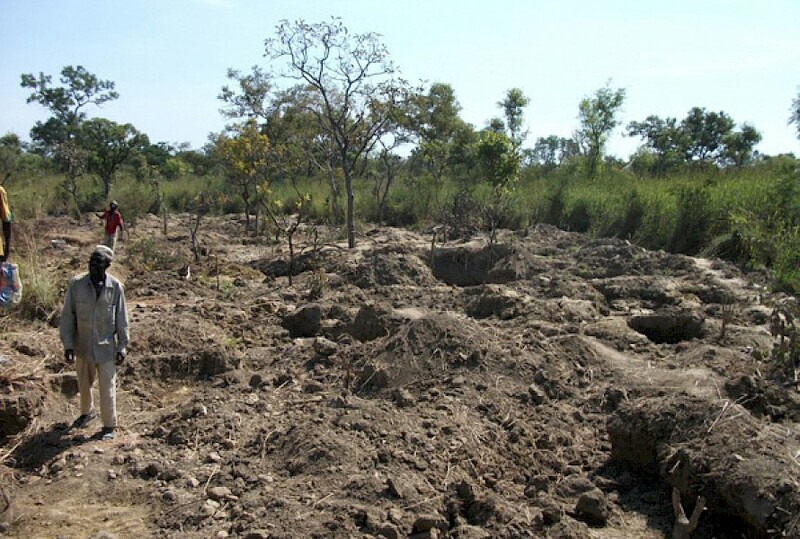 The infill soil programme extends and enhances the Company’s existing regional soil grid, where 2,200 samples were collected on 100 m intervals along 400 m spaced lines, that generated five key gold targets. 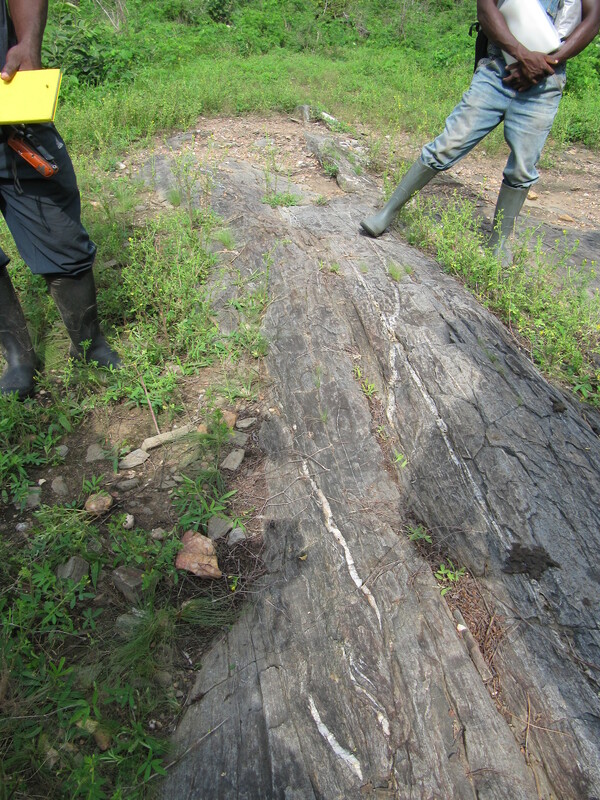 The results from the soil sampling programme to date indicate that the gold mineralisation is coincident with major silicified units and shear structures over at least 13.5km of strike and across a number of parallel zones. 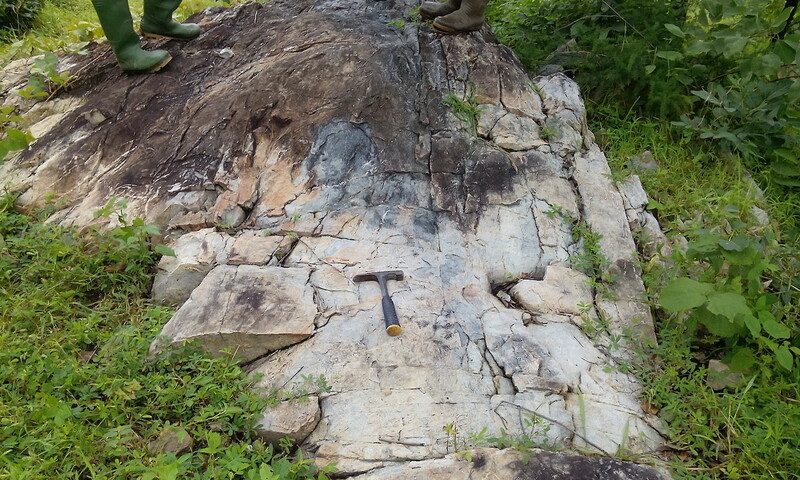 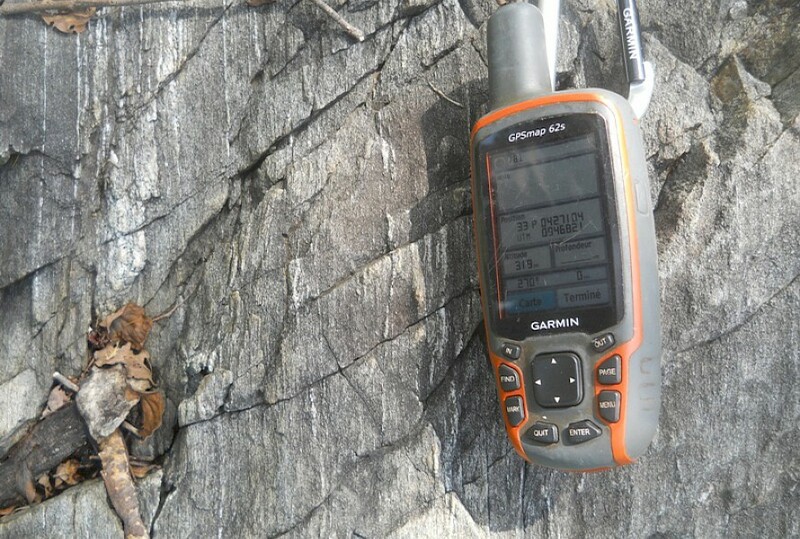 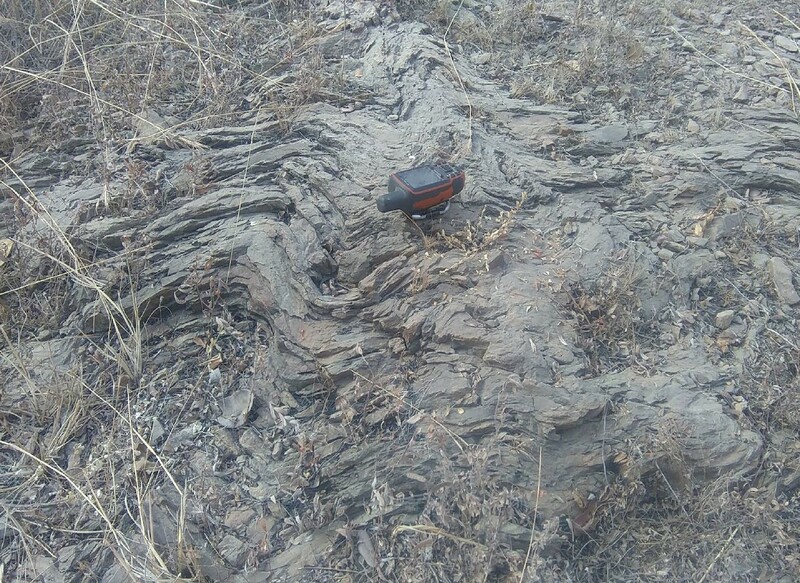 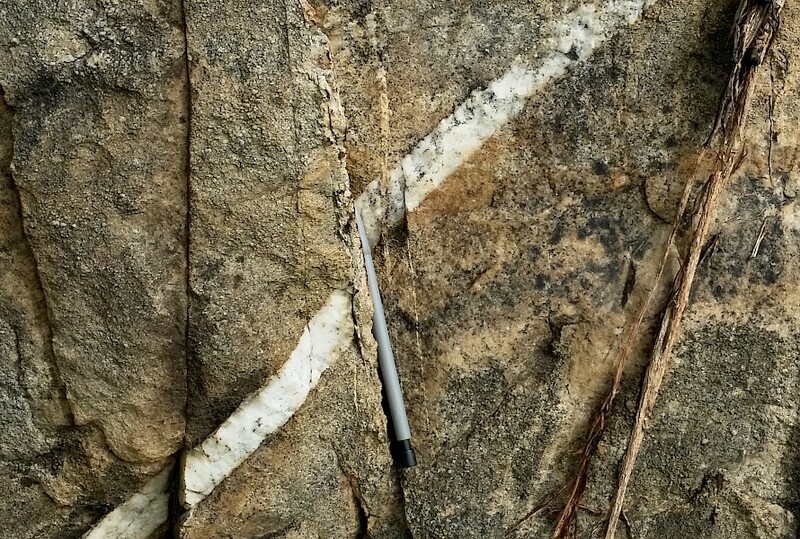 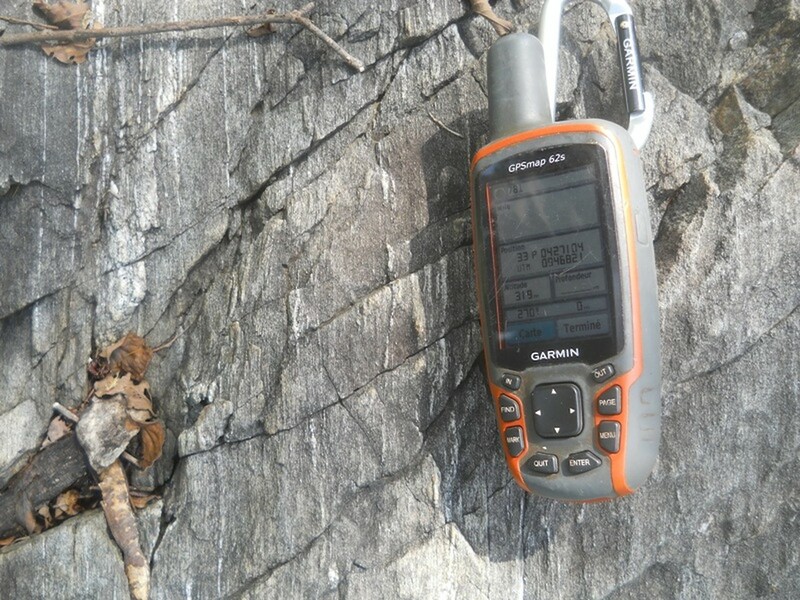 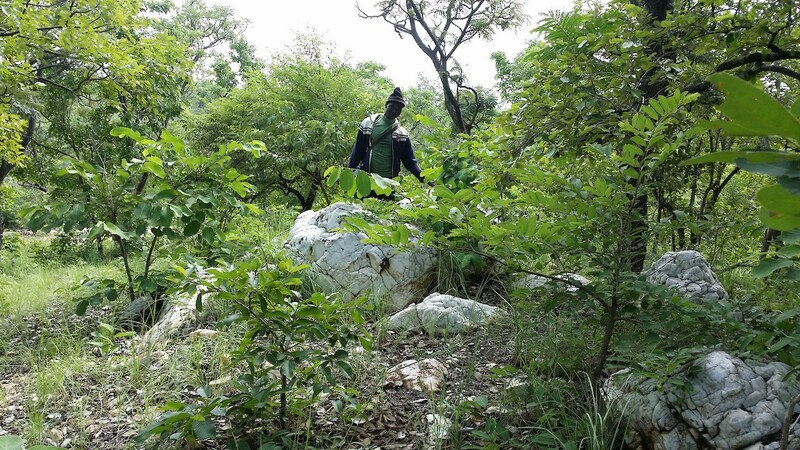 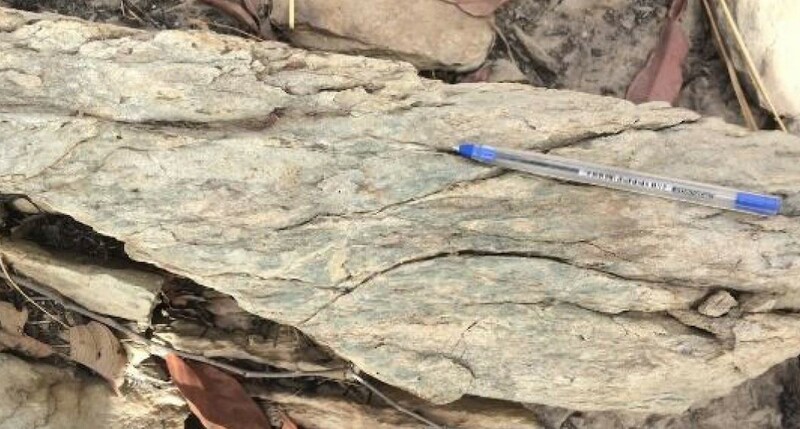 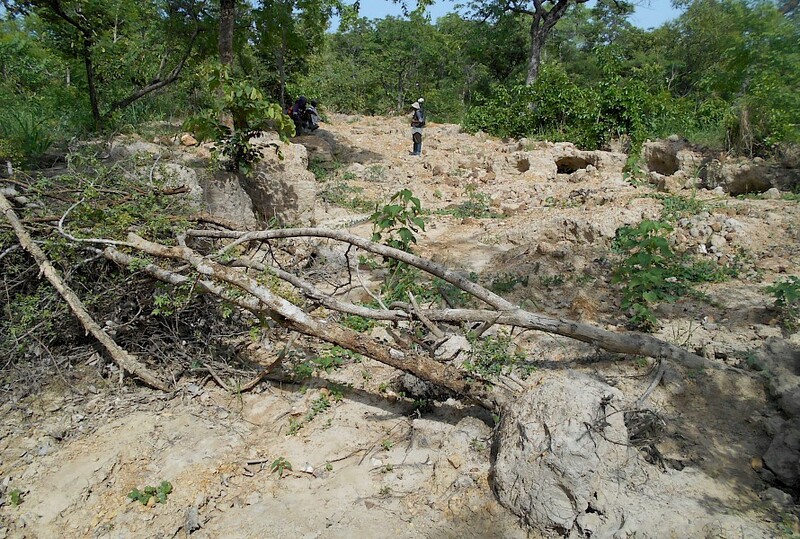 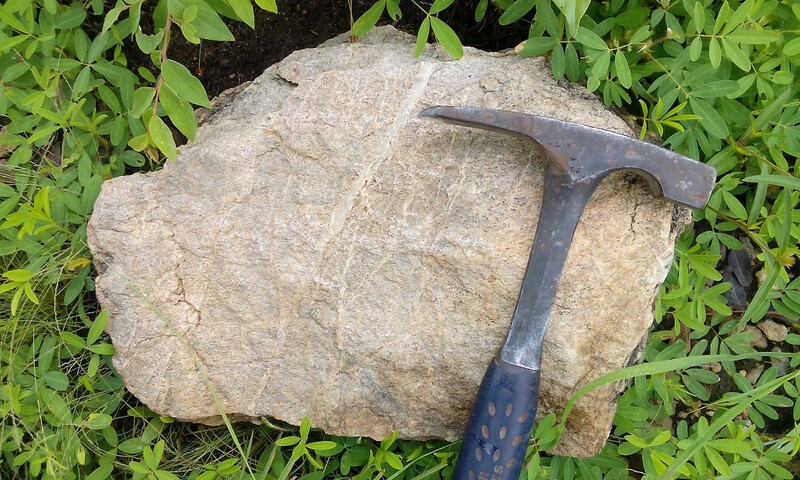 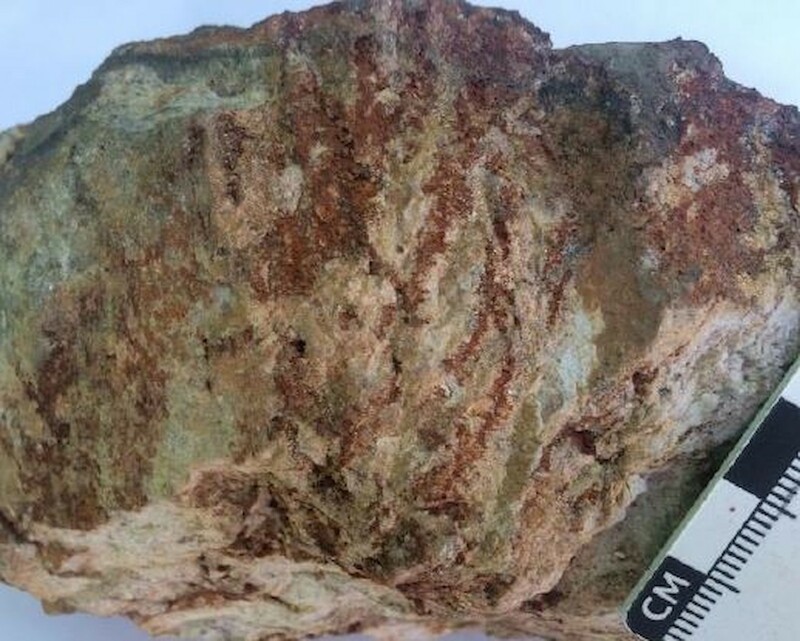 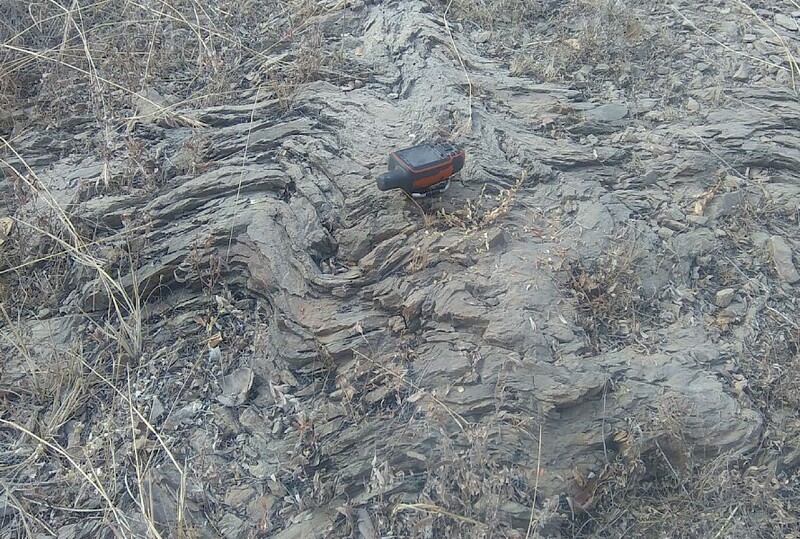 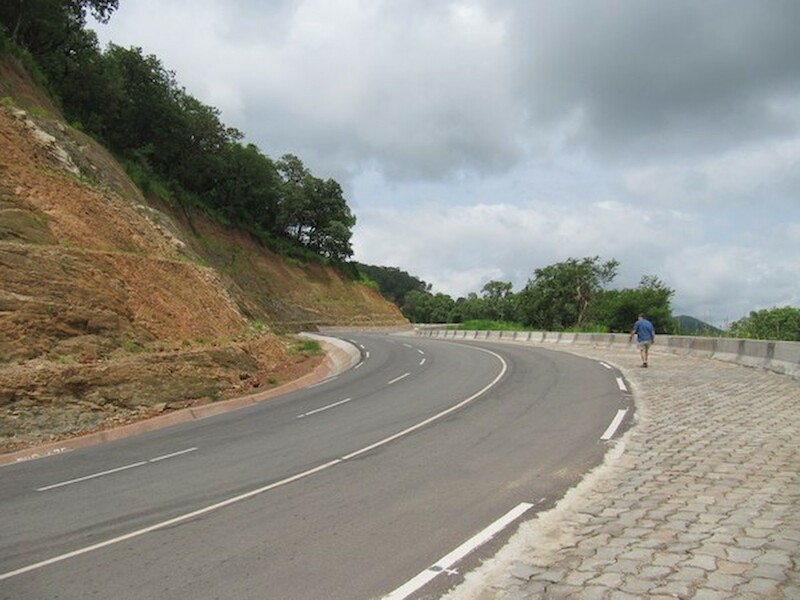 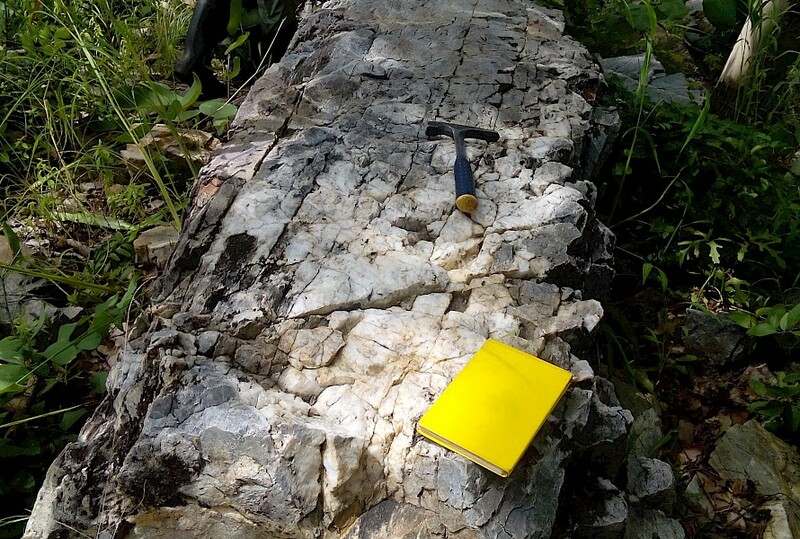 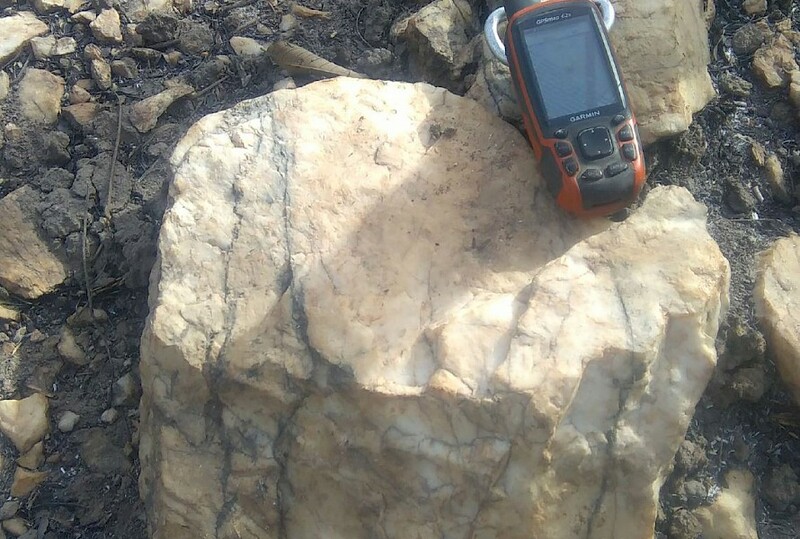 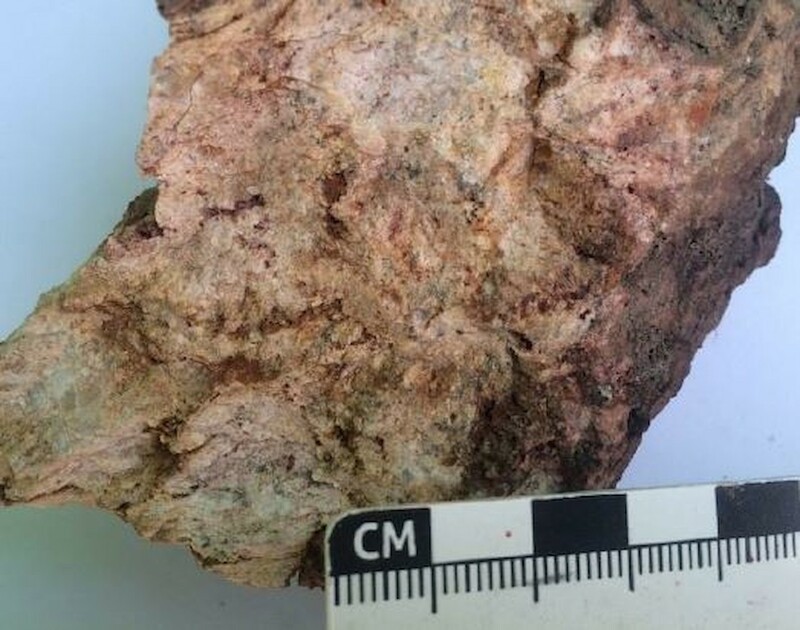 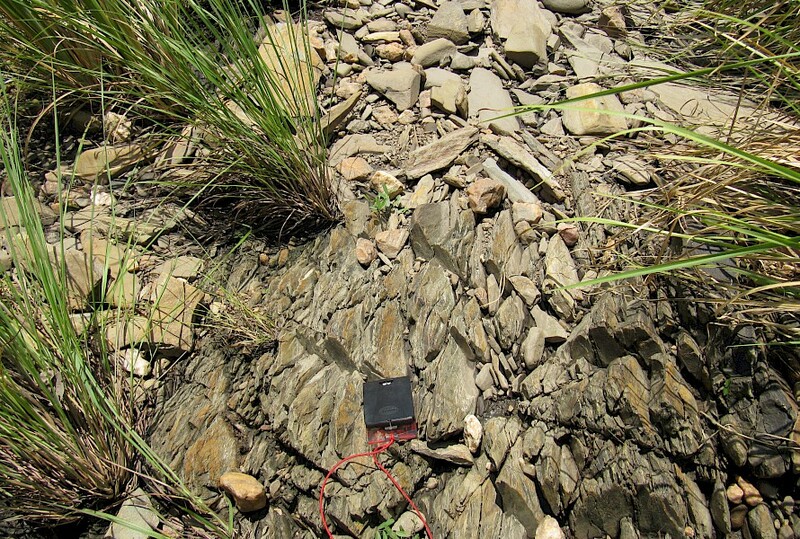 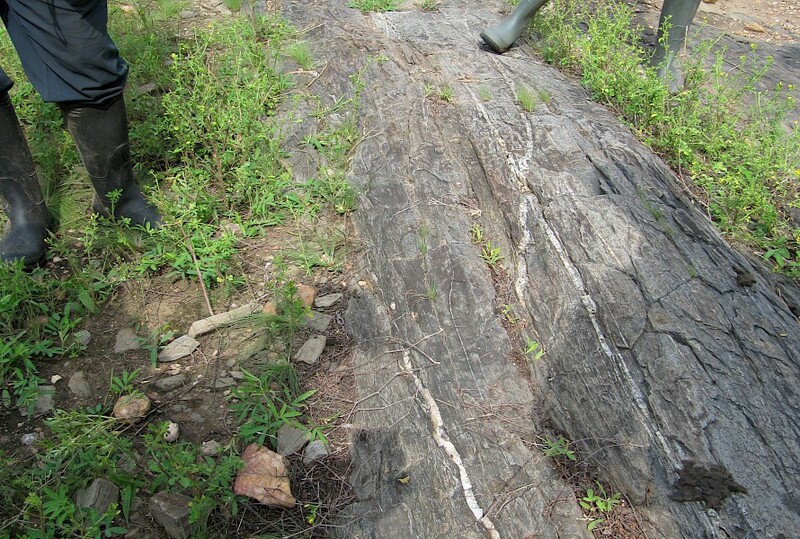 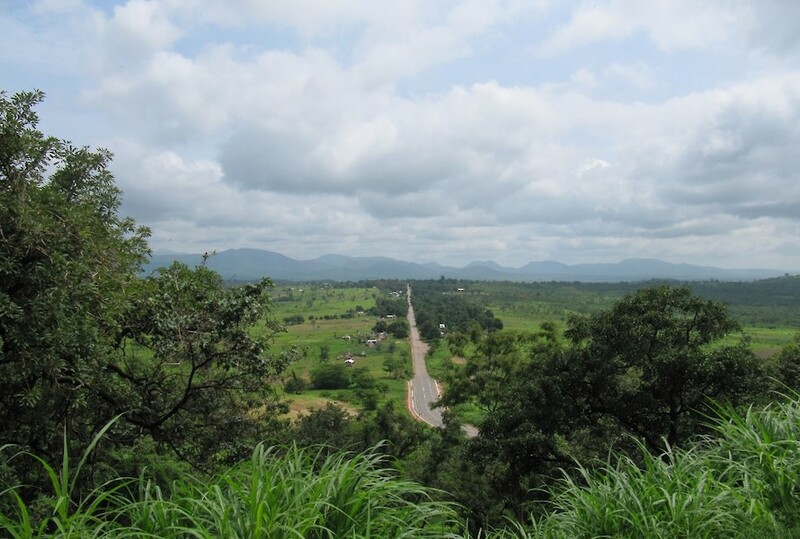 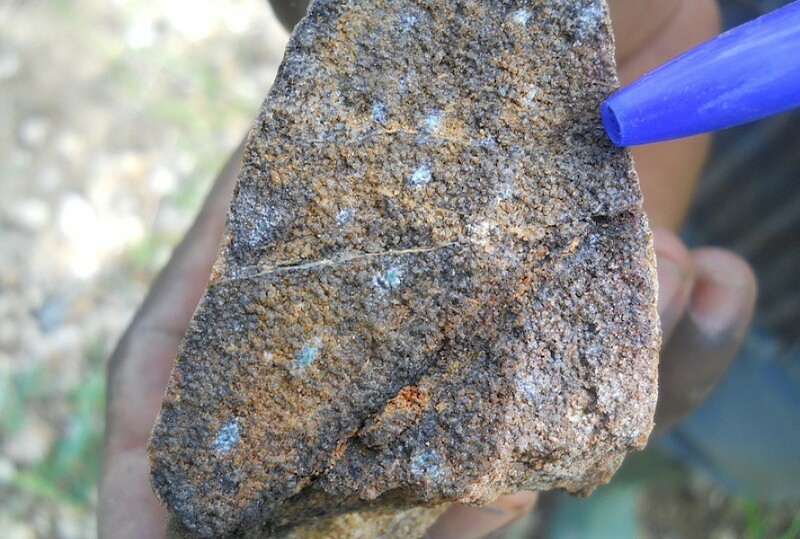 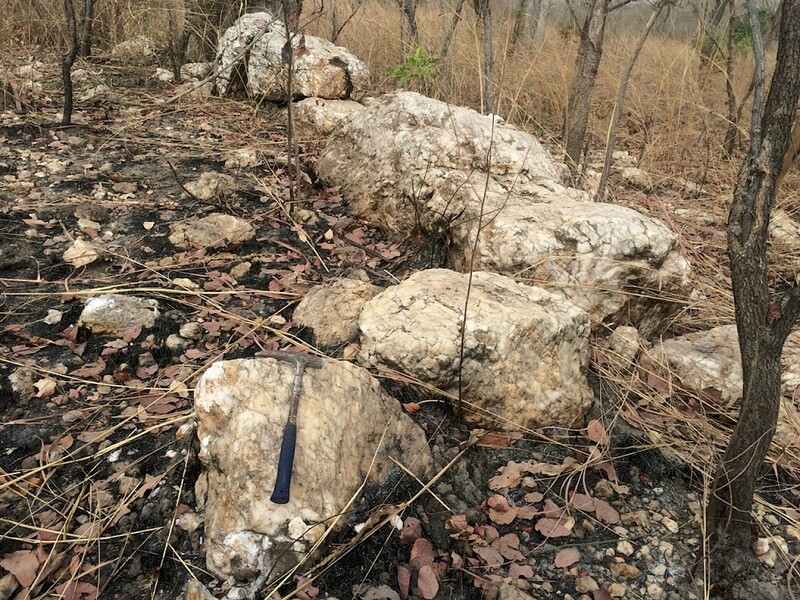 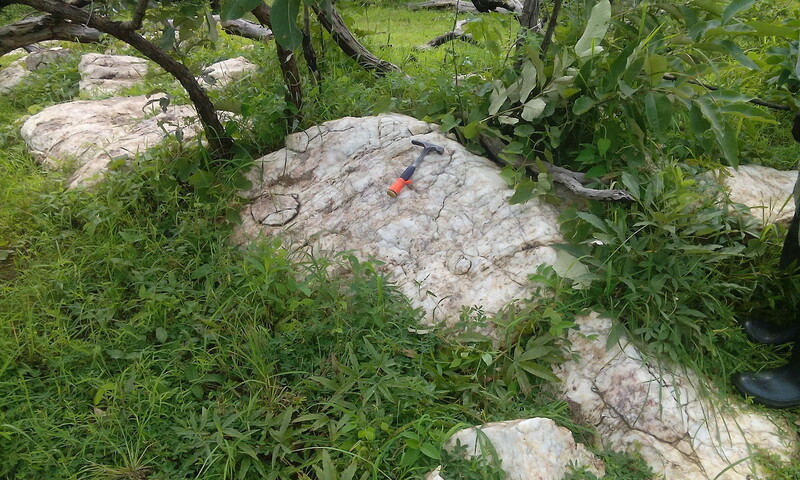 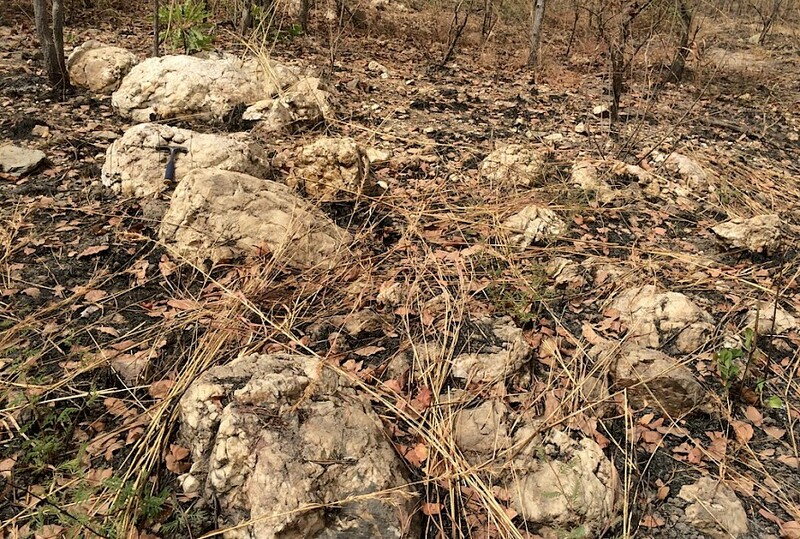 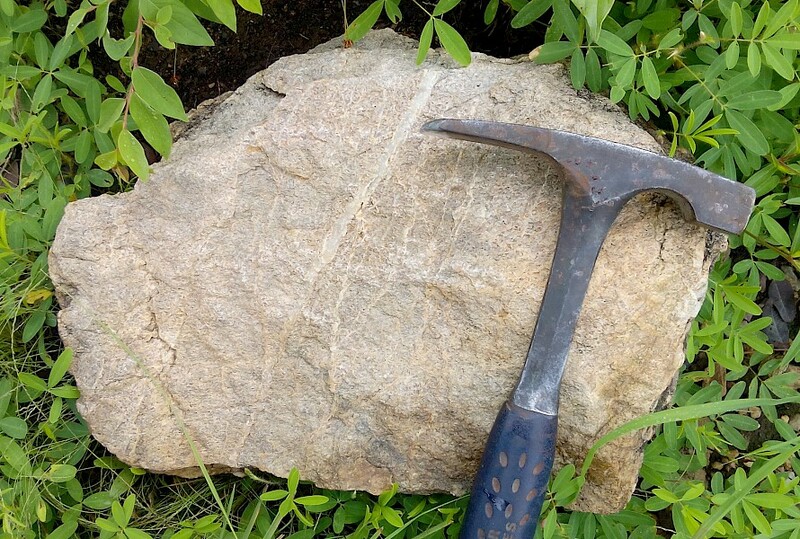 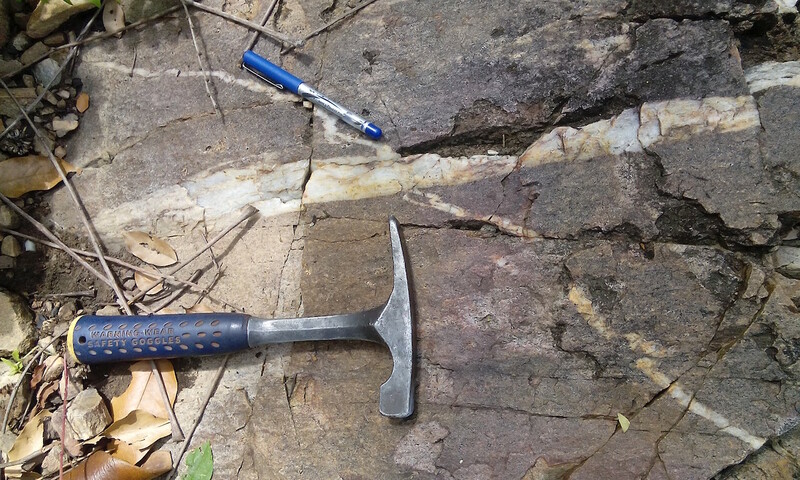 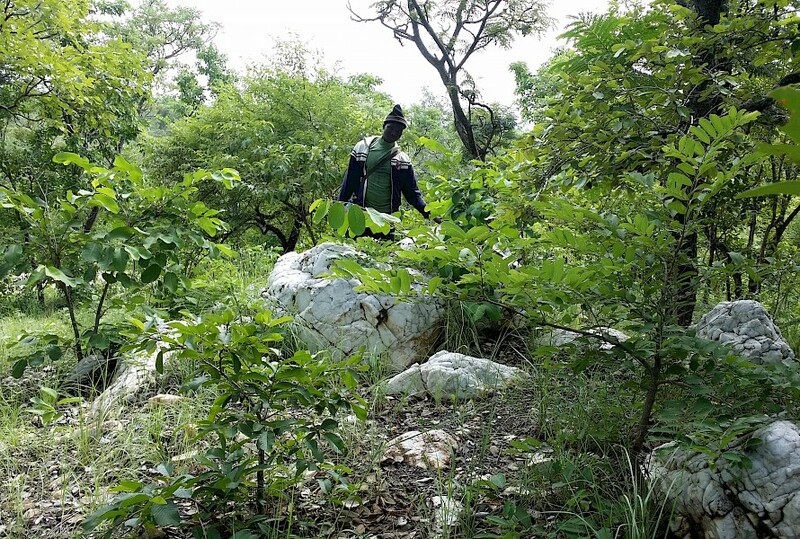 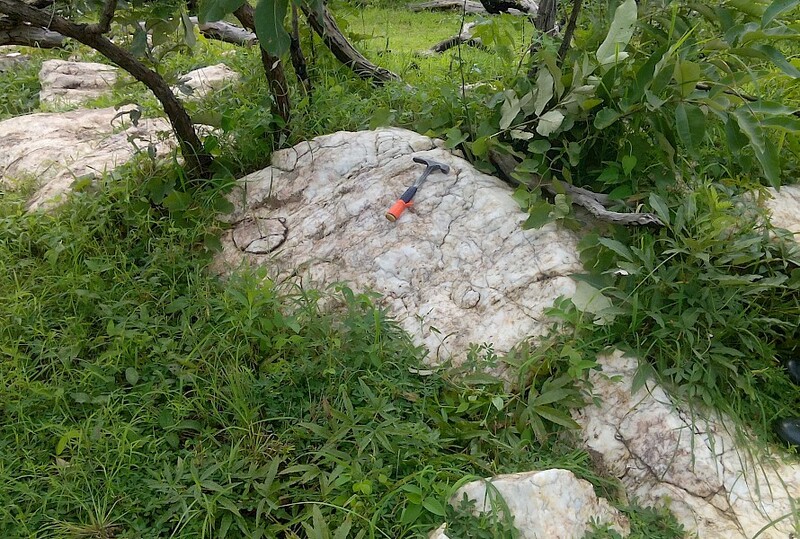 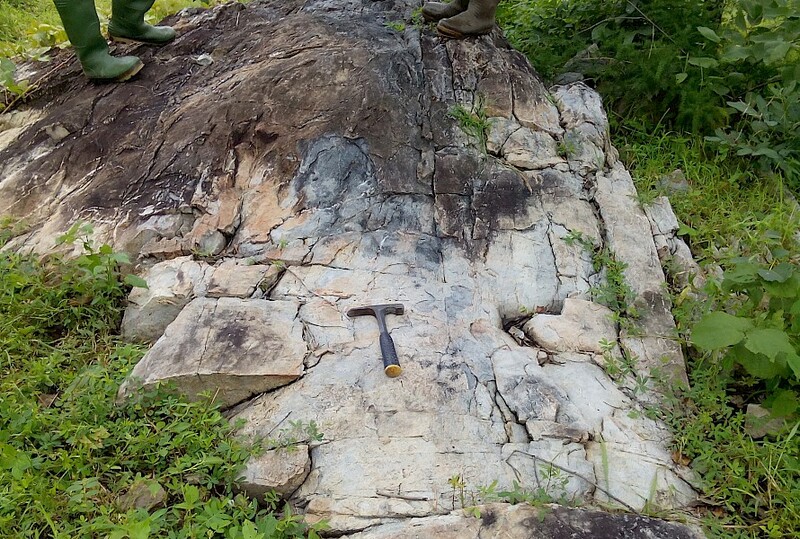 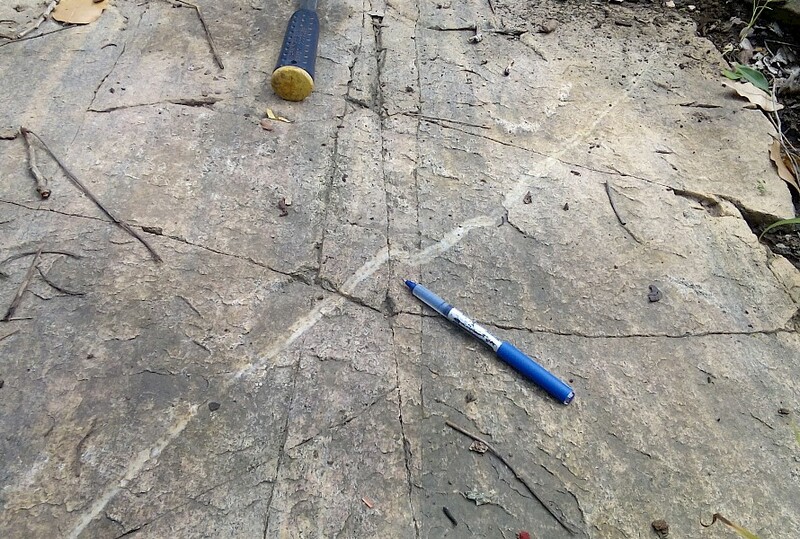 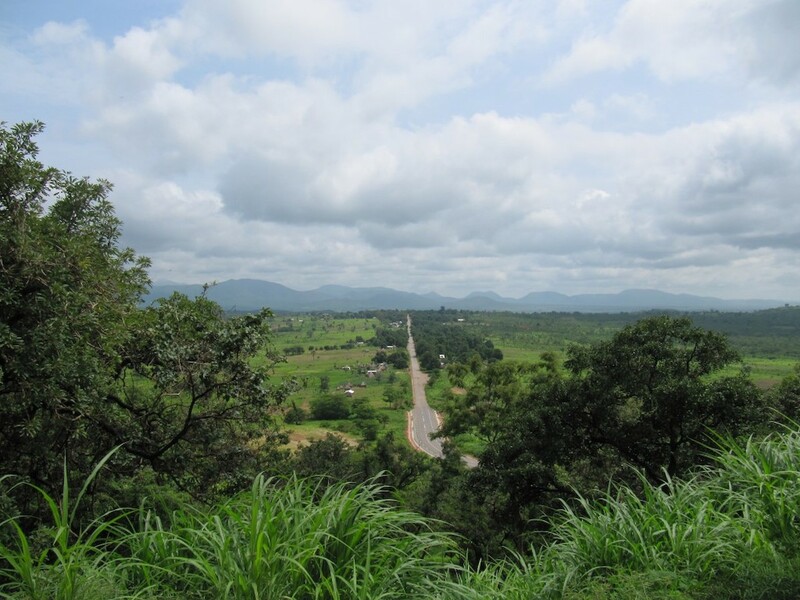 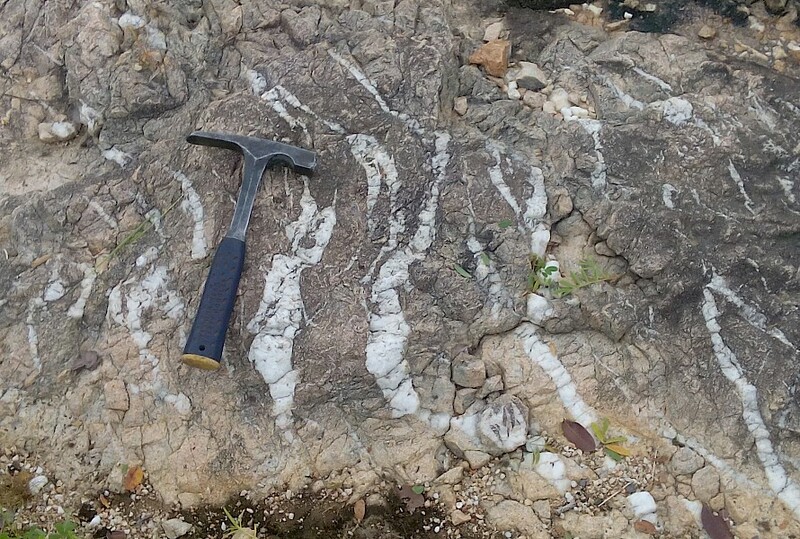 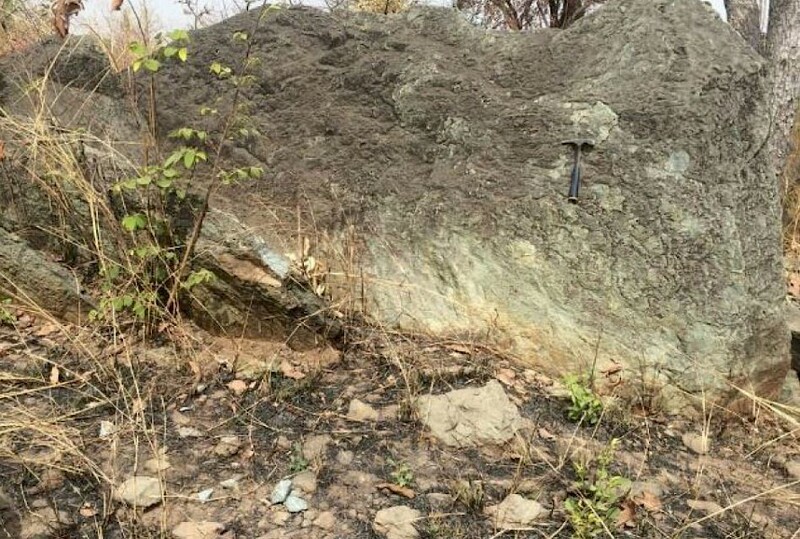 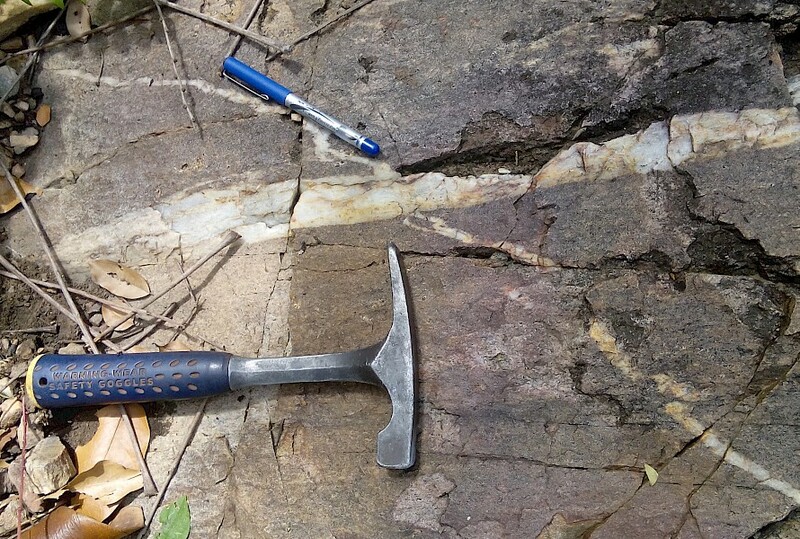 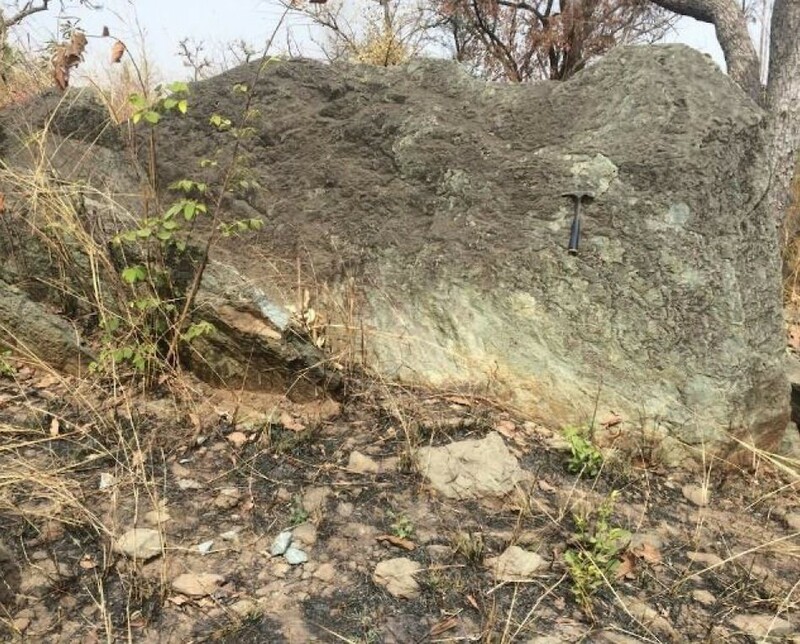 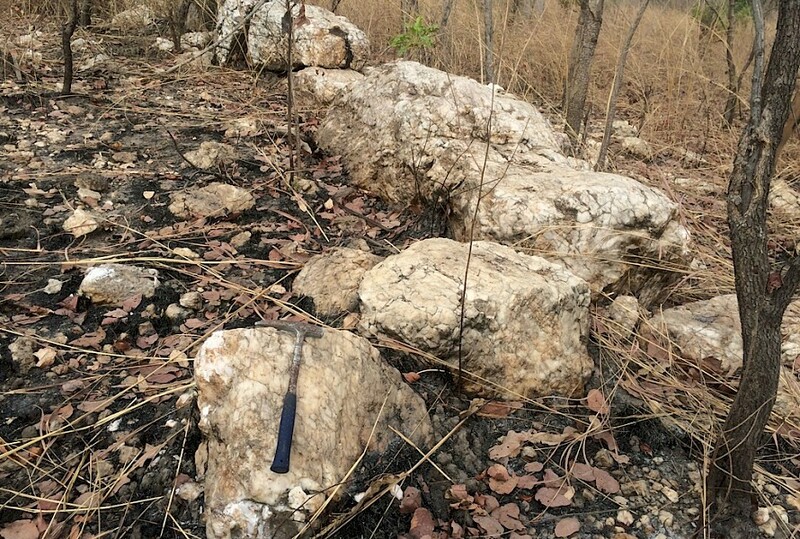 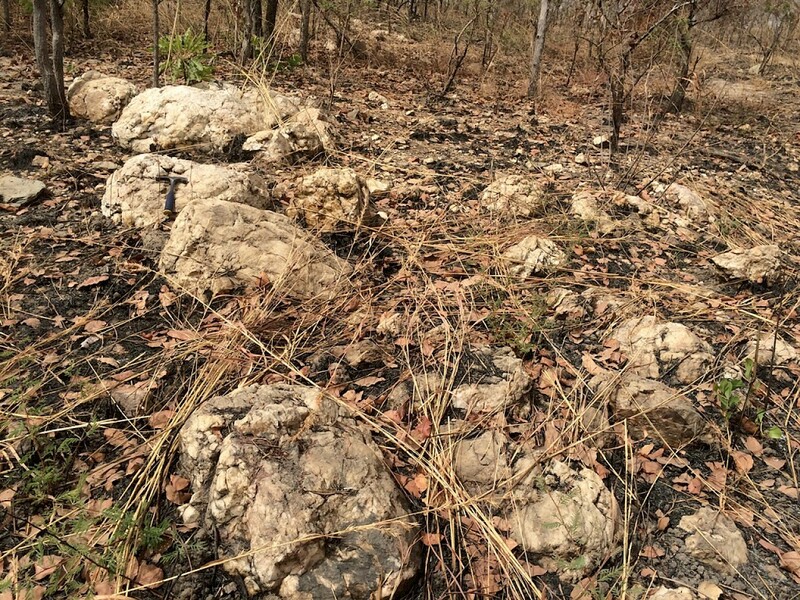 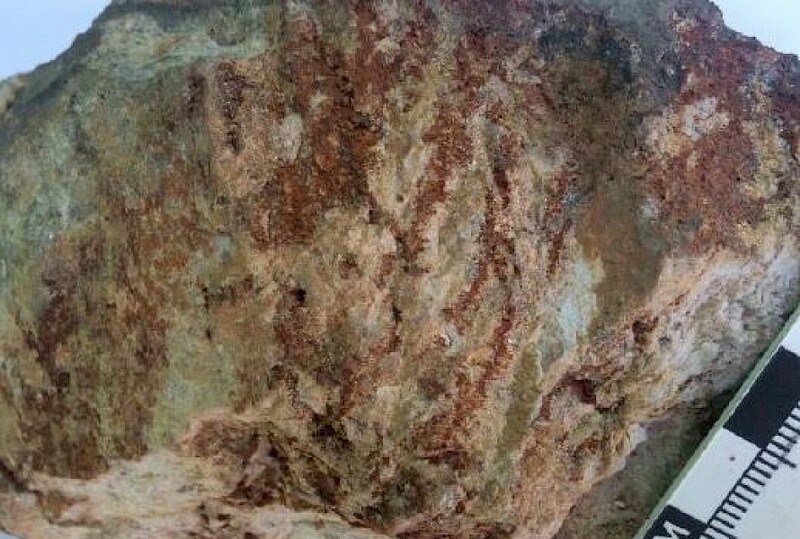 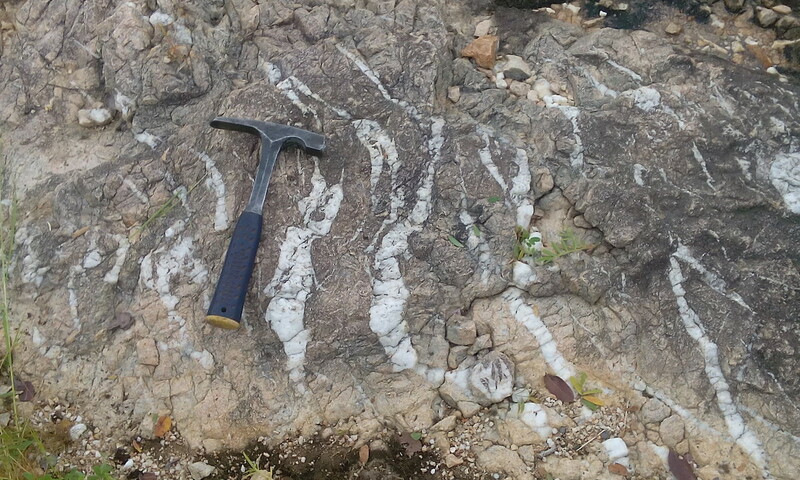 Coincident with the ground magnetic and infill soil sampling programmes, the company undertook a programme of geological mapping and reconnaissance sampling on a series of quartz veins discovered across a portion of the Landou prospect. 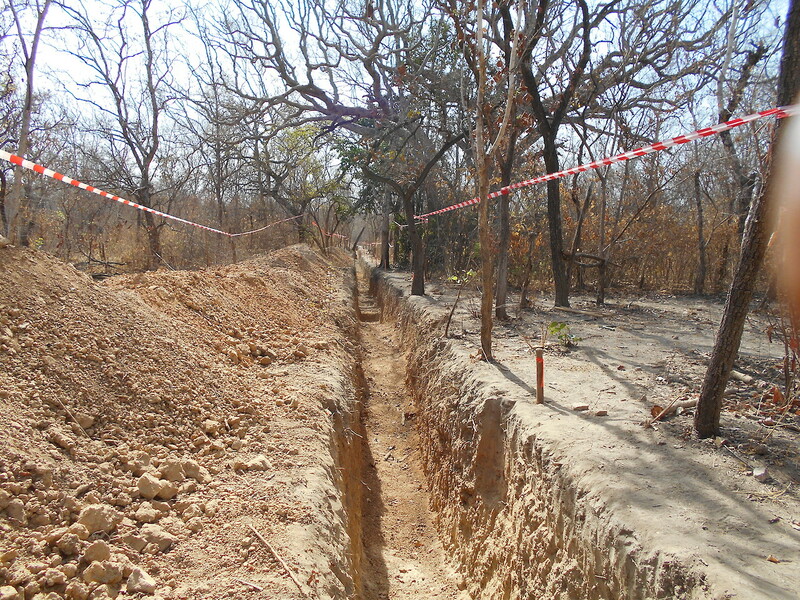 A total of 24 veins have been mapped, cropping out along a discontinuous strike length of approximately 3 km within a 750 m wide corridor. 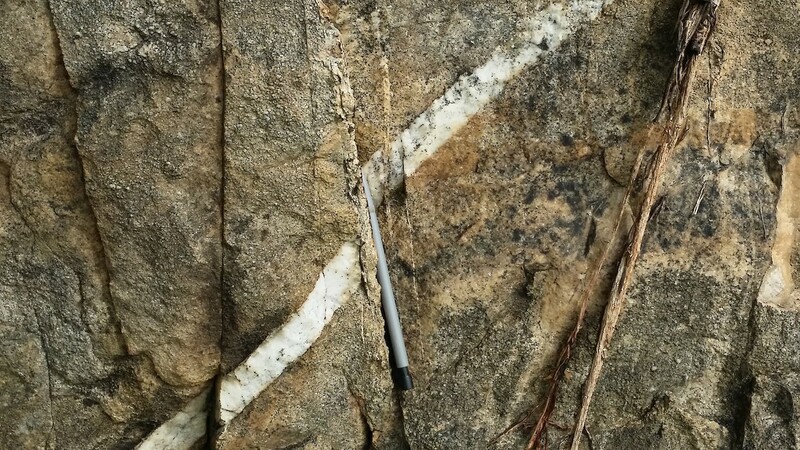 Individual veins have mapped strike lengths of up to 250 m. Fifty reconnaissance samples were collected from the quartz veins and the highest three returned elevated gold assay results of 24.5 g/t, 16.15 g/t and 3.04 g/t. 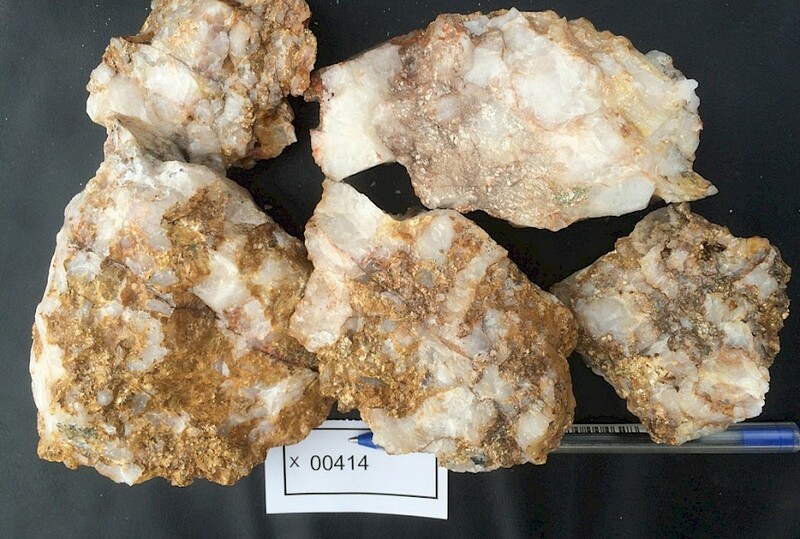 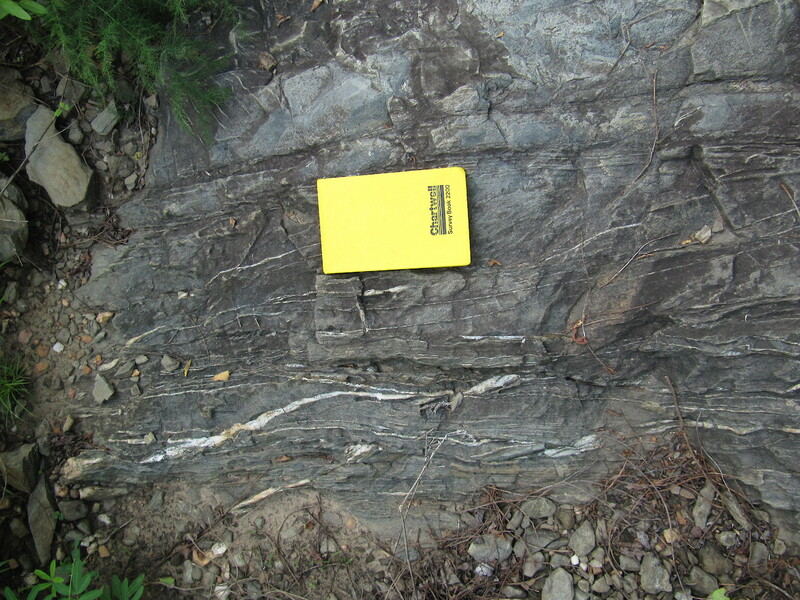 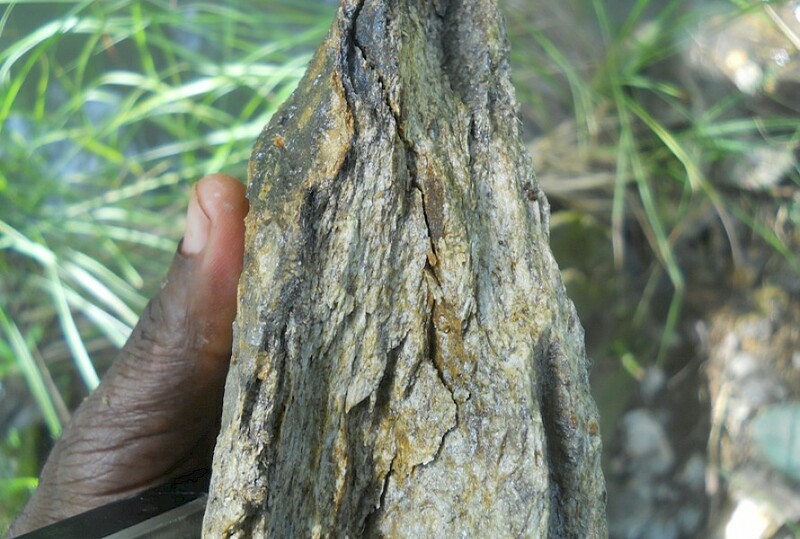 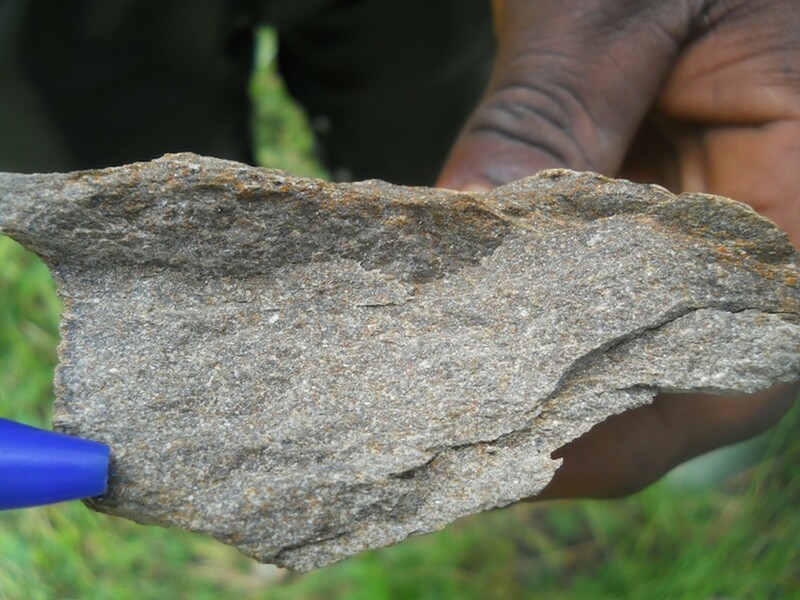 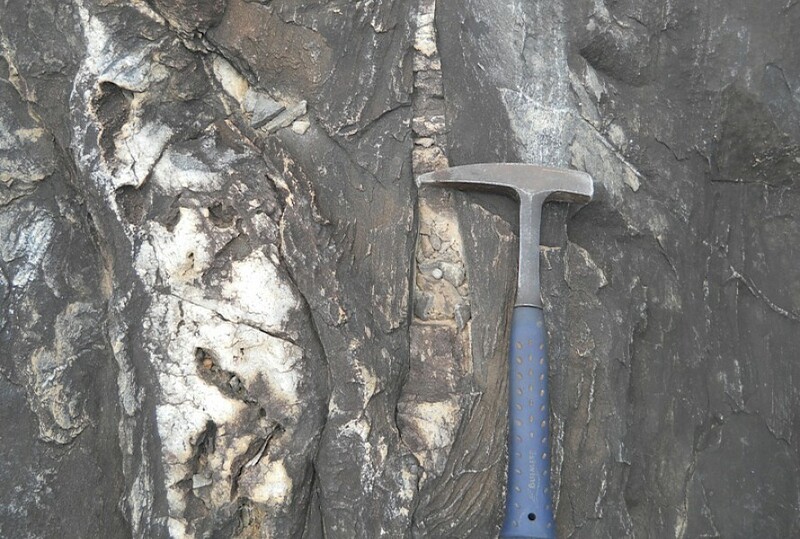 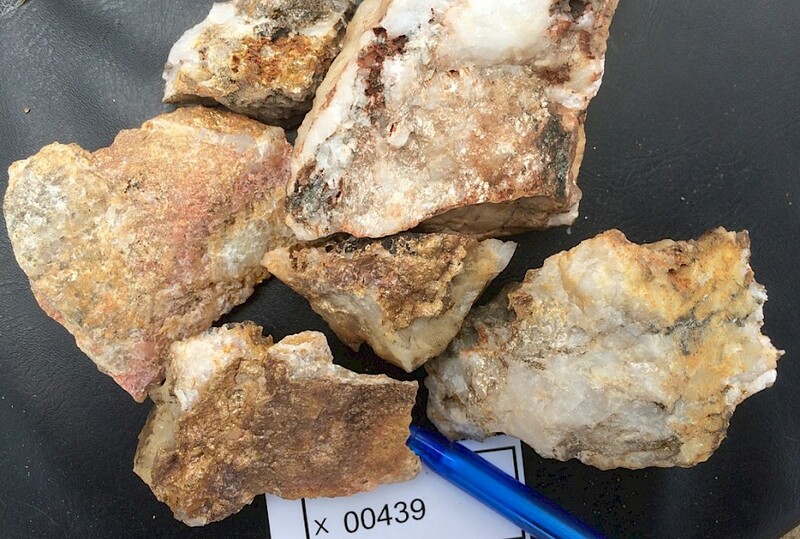 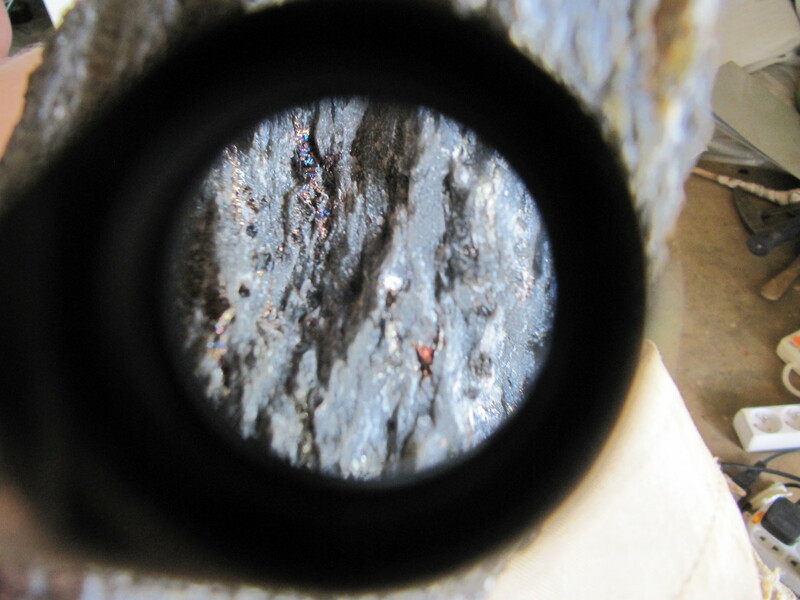 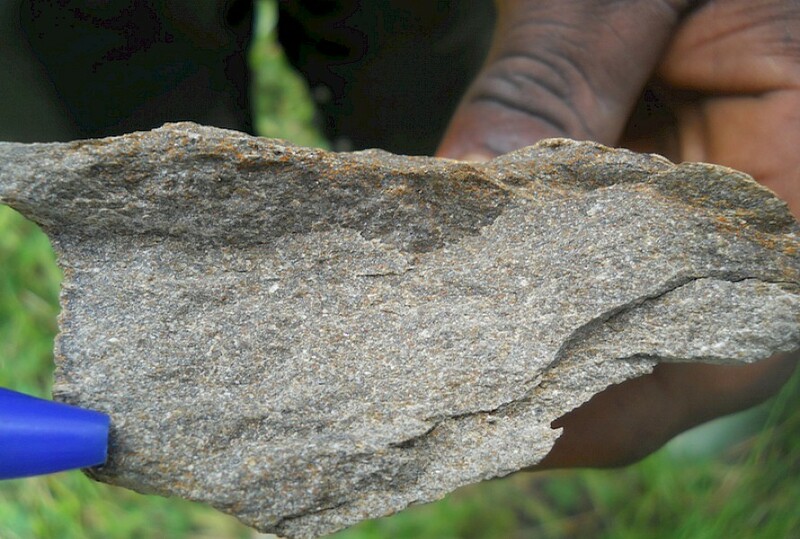 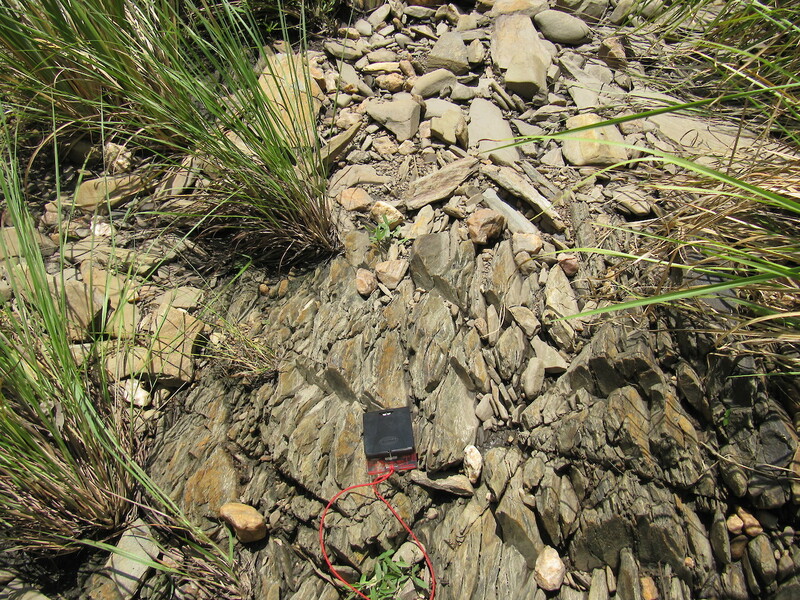 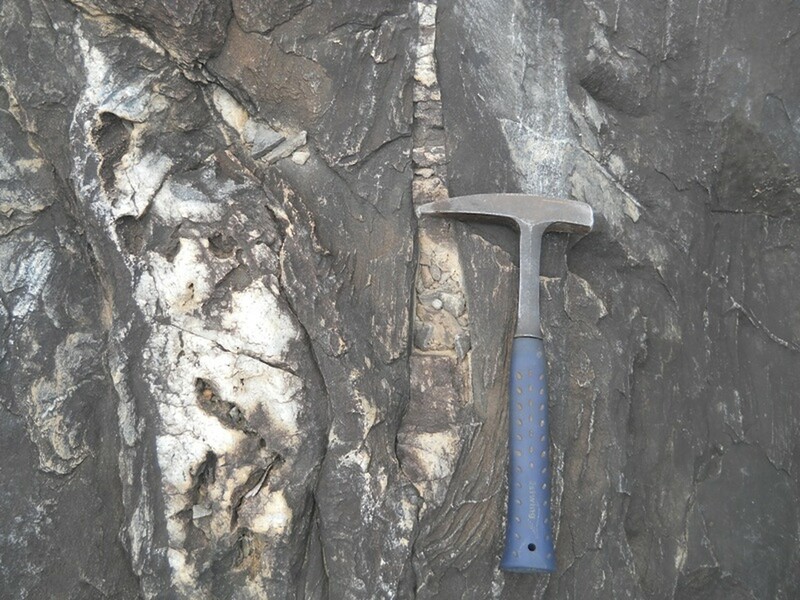 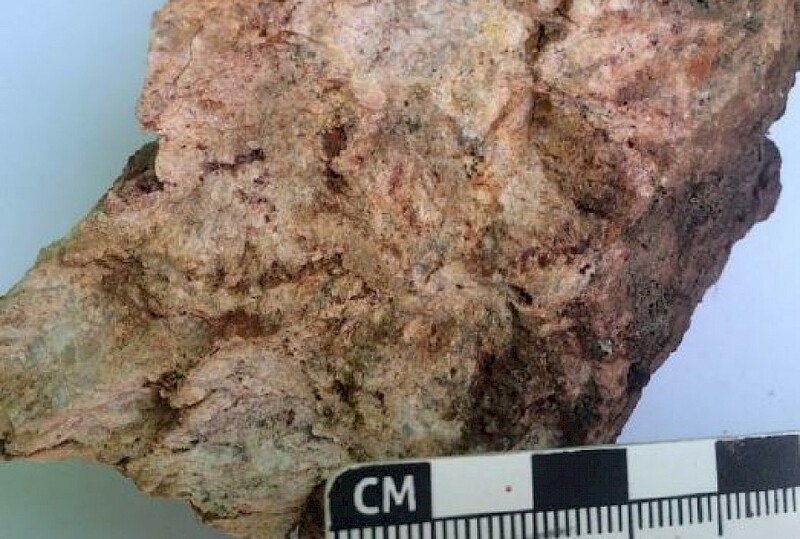 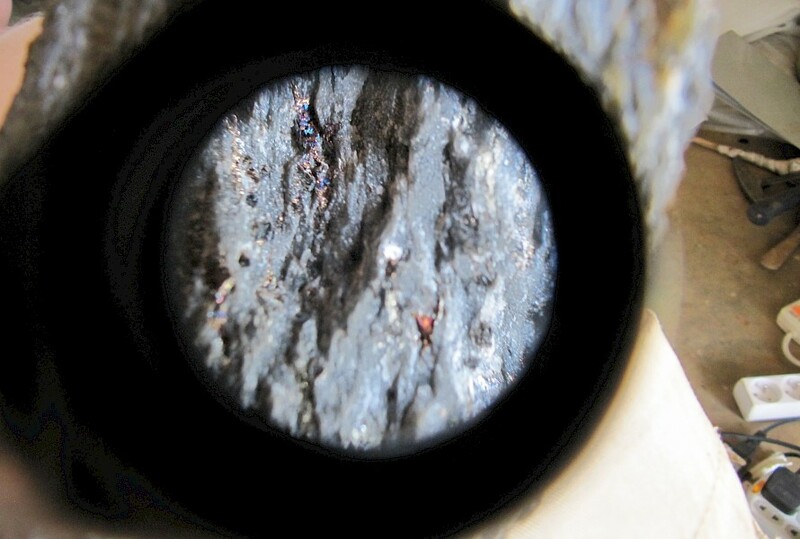 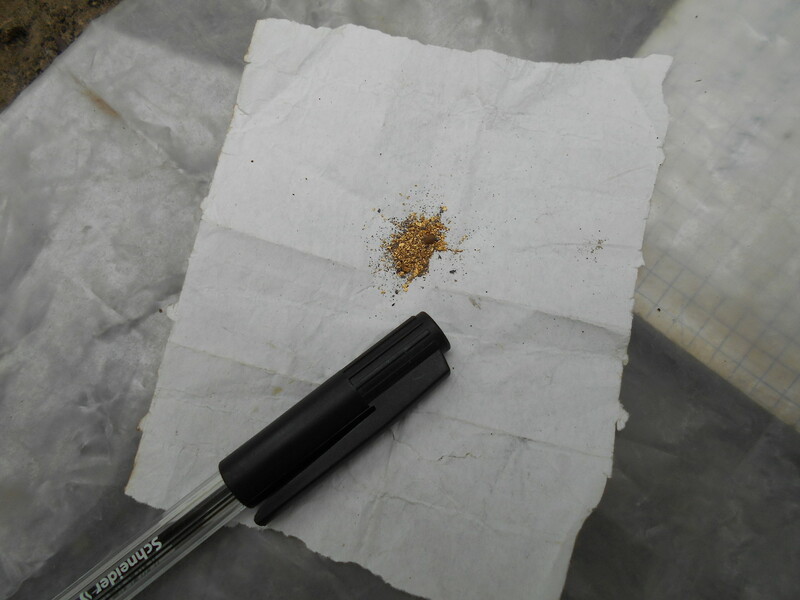 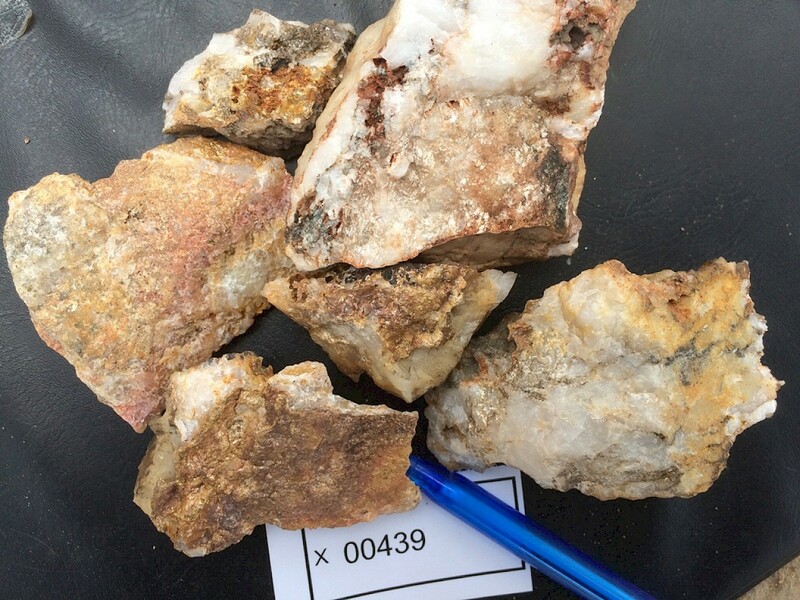 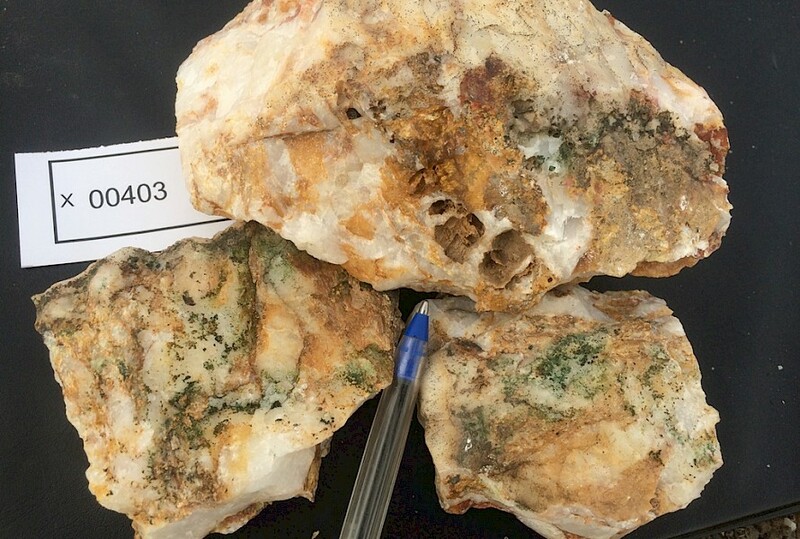 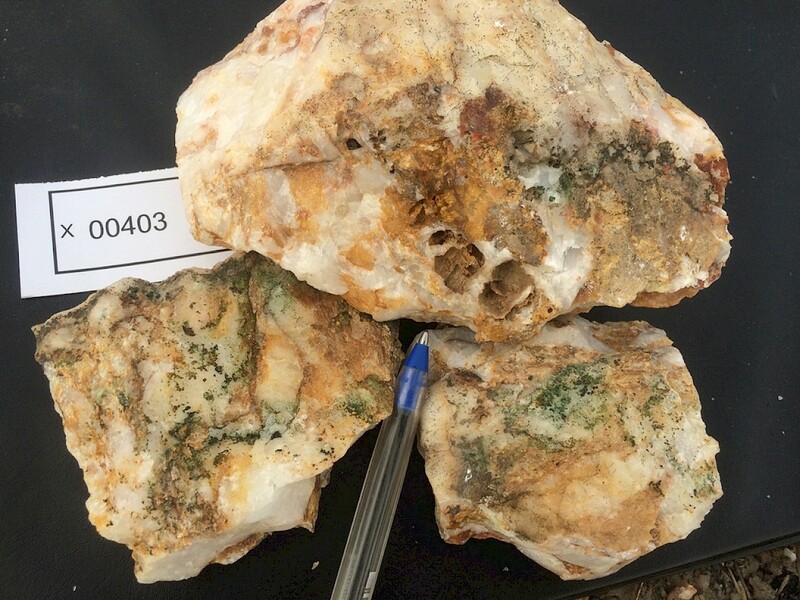 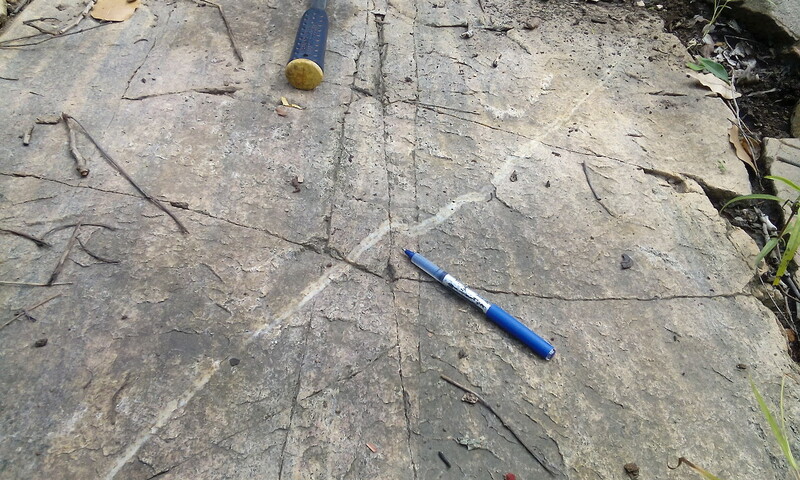 Rock-chip samples of sheared metasedimentary rocks have assayed at up to 6.85 g/t Au, while visible gold has also been identified within a panned concentrate of a sample collected from a reconnaissance trench, indicating the high prospectivity of the project area.